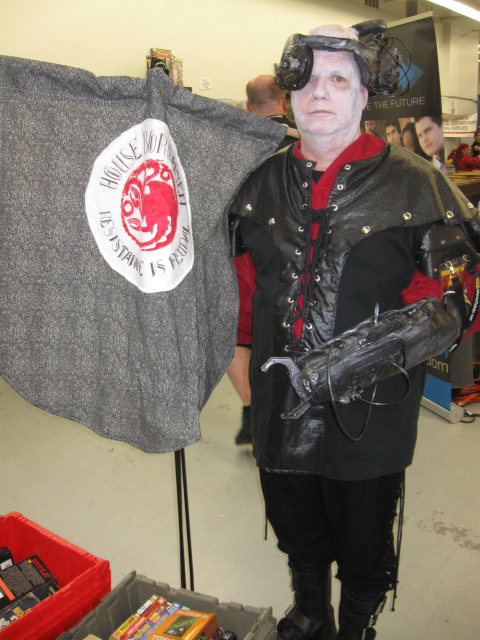 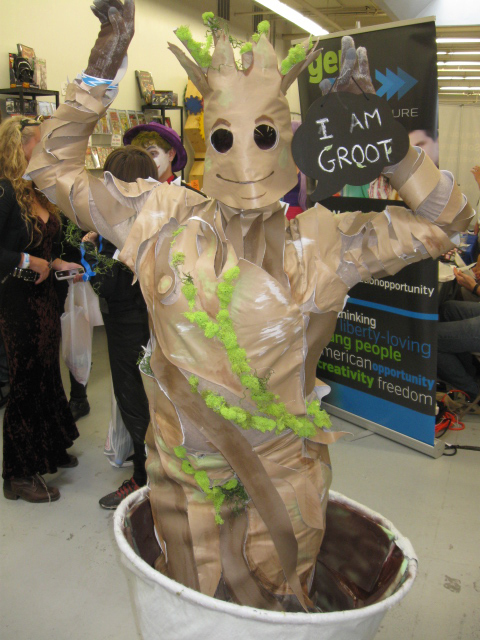 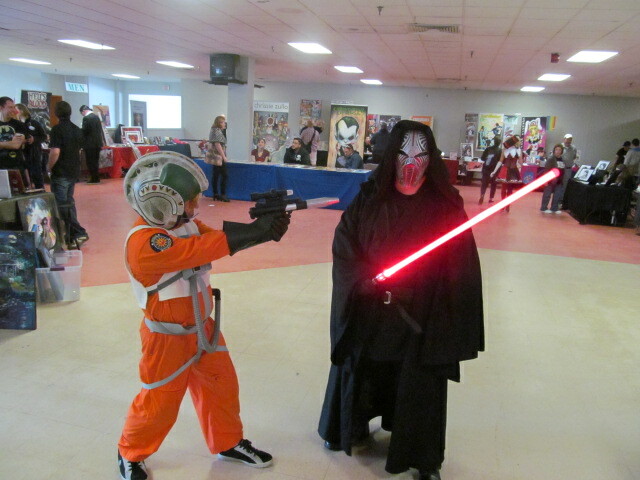 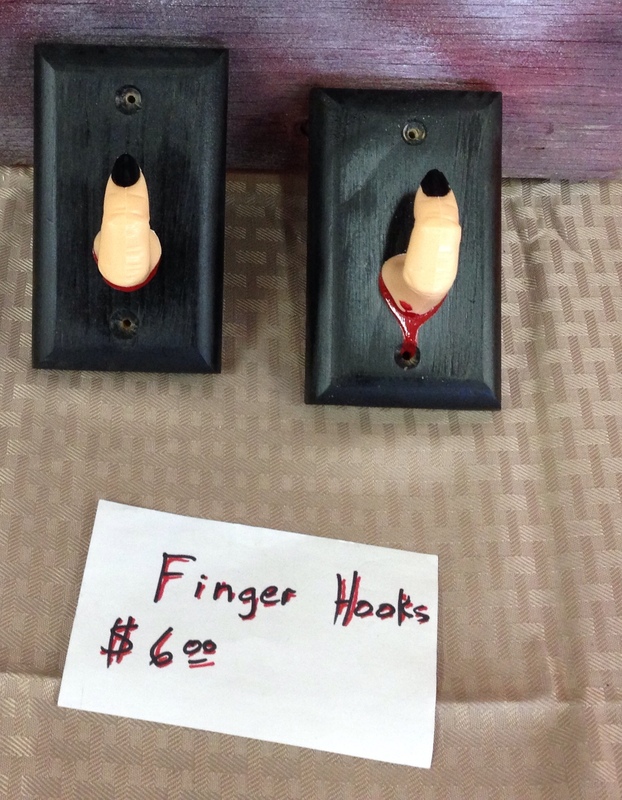 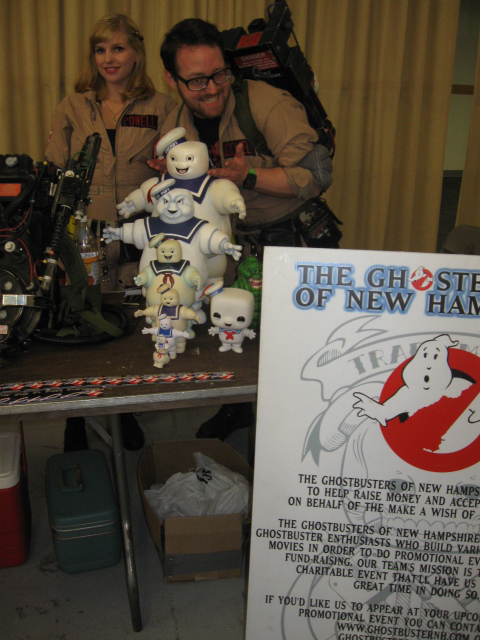 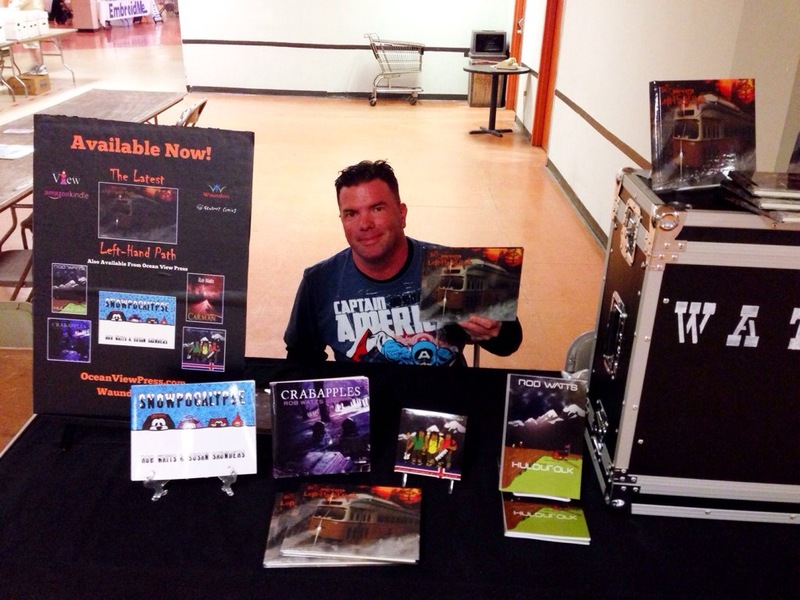 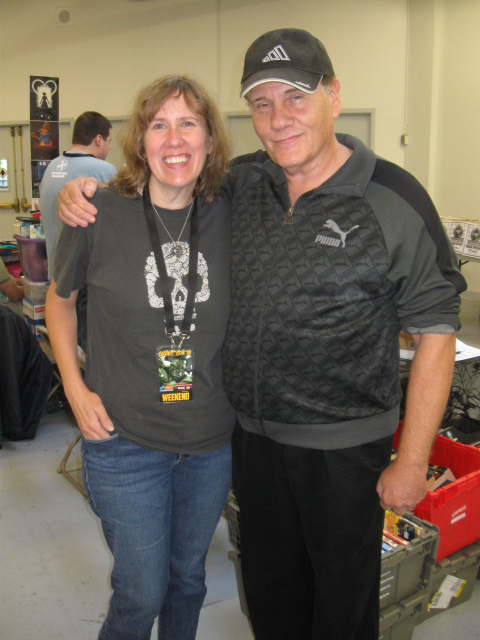 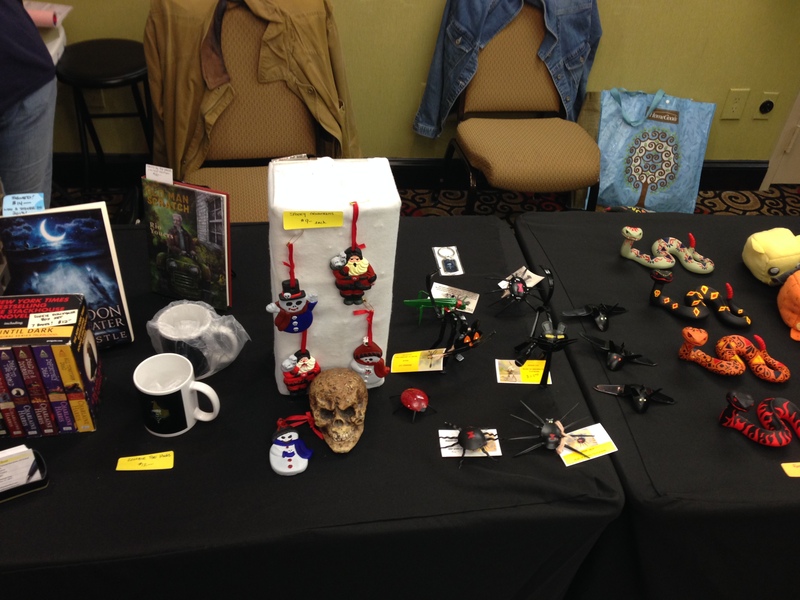 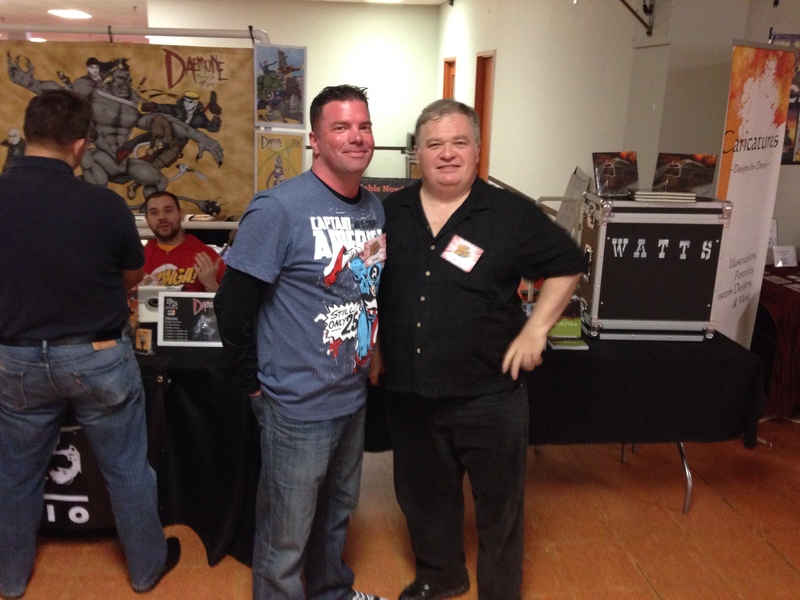 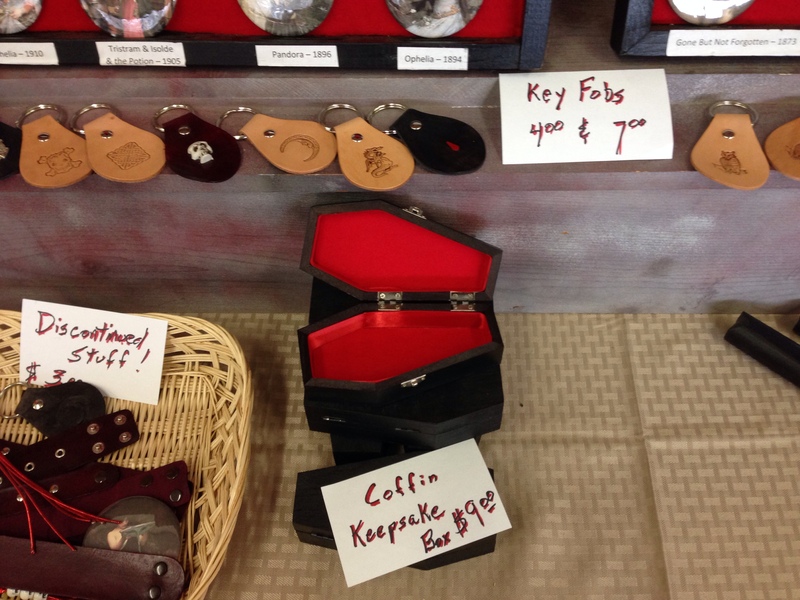 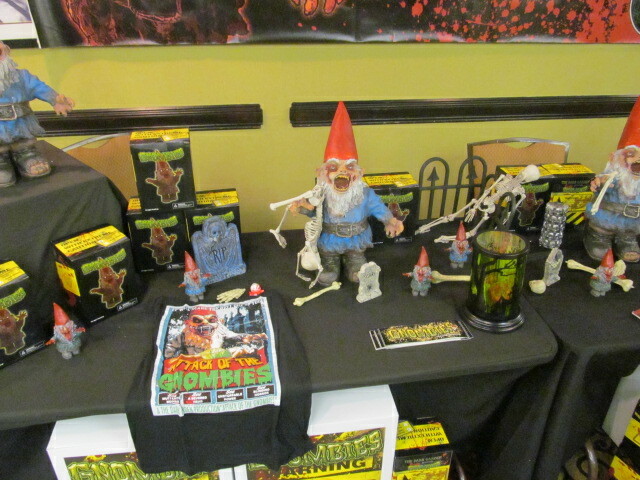 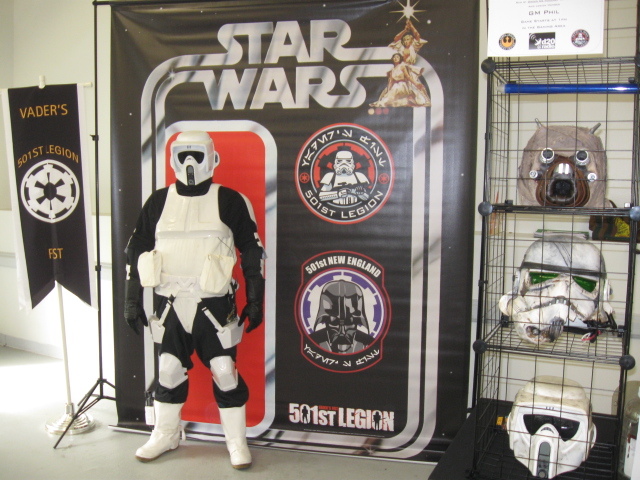 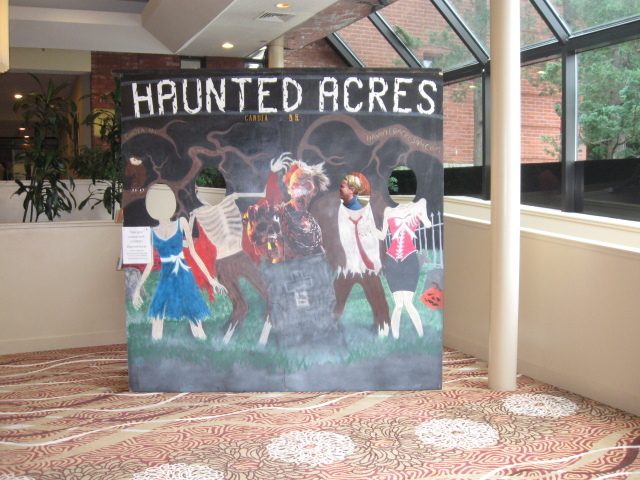 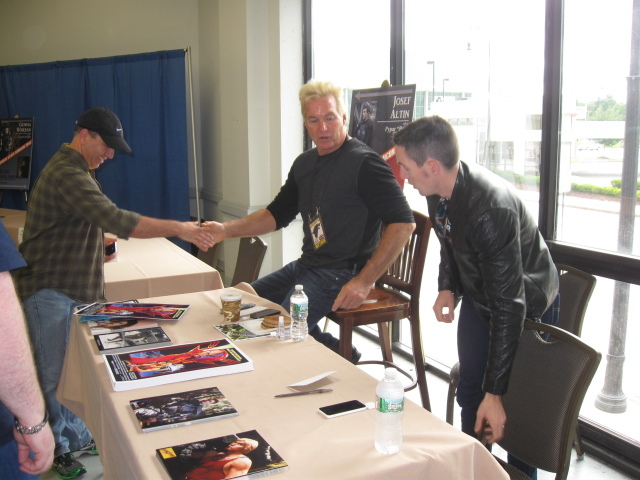 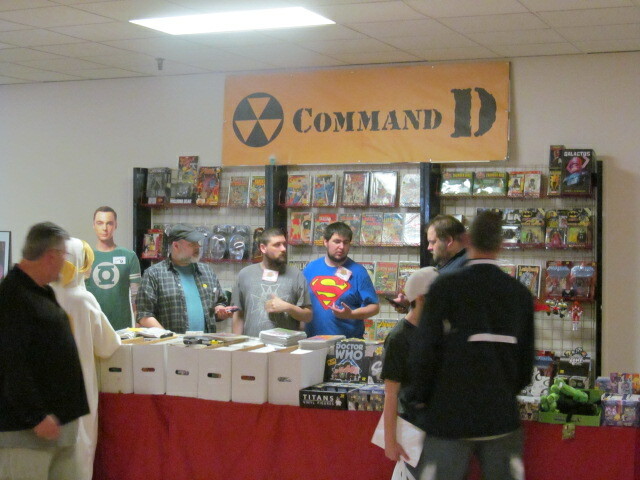 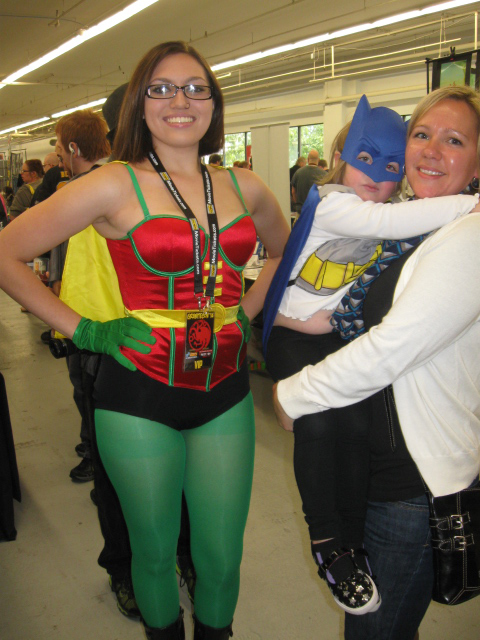 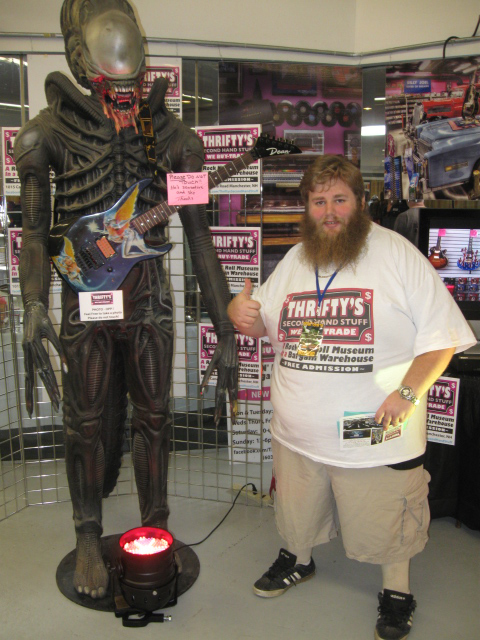 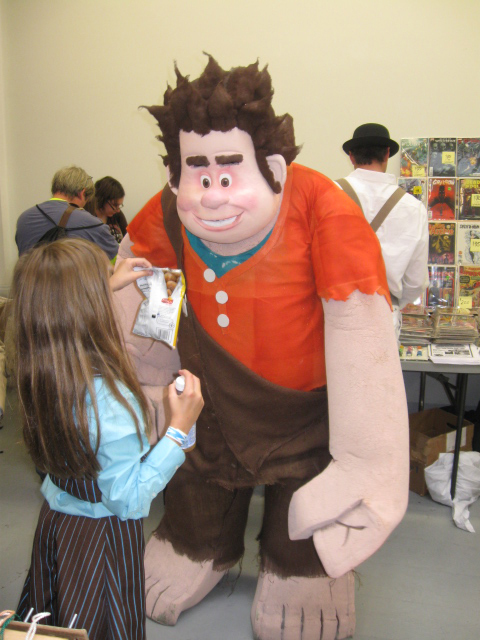 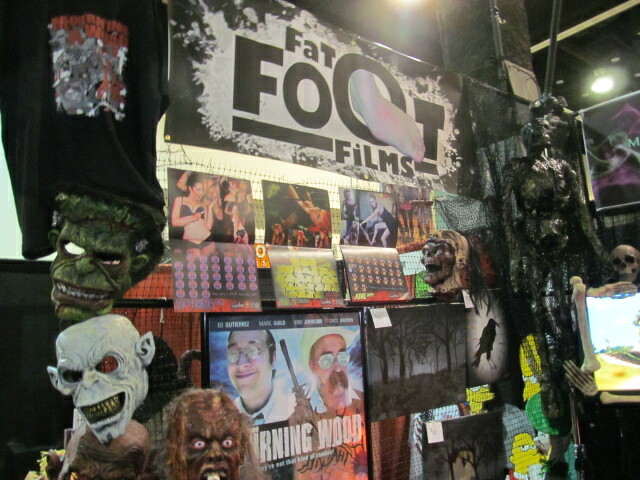 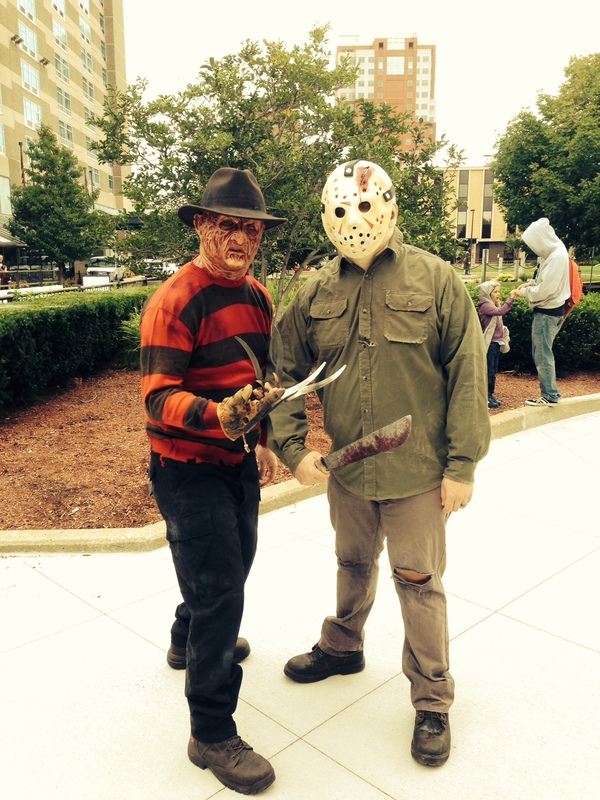 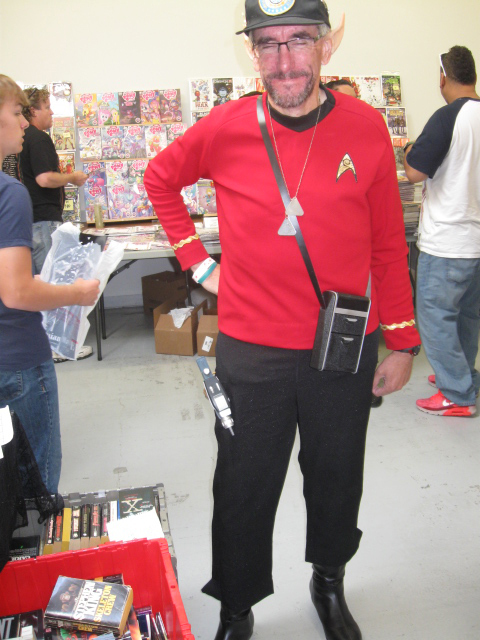 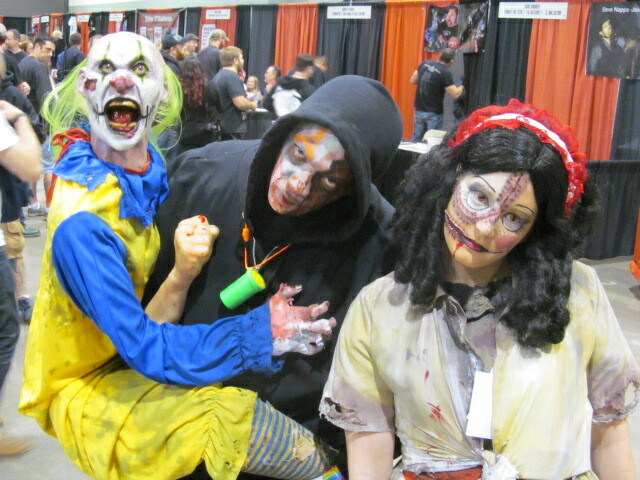 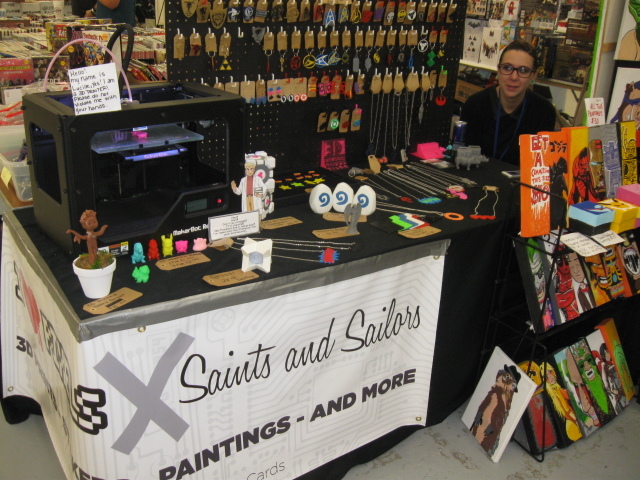 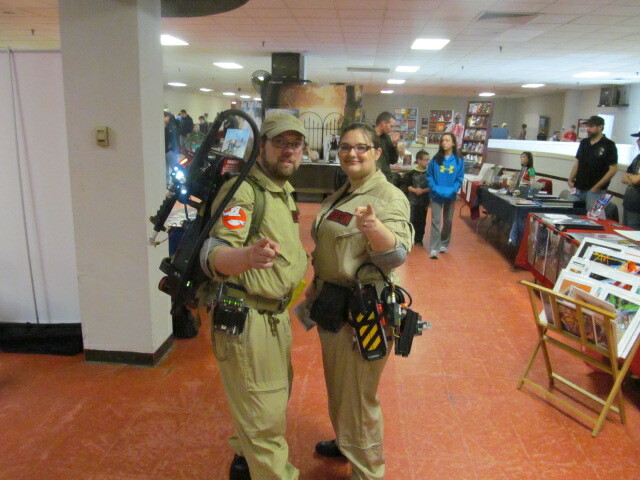 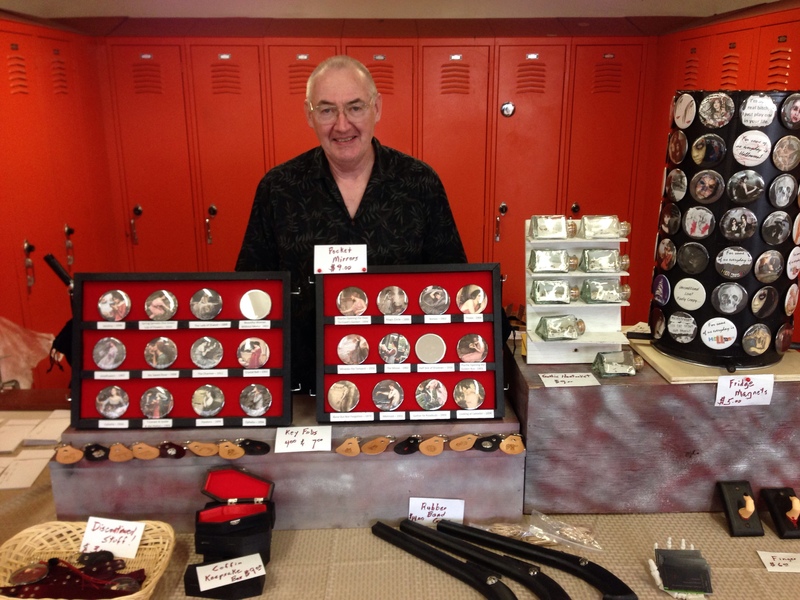 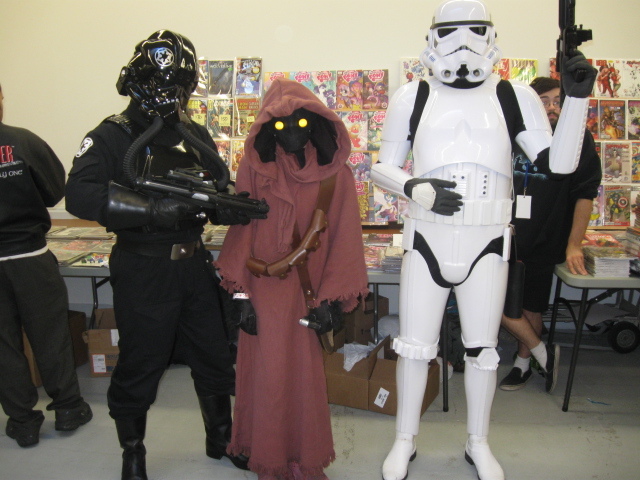 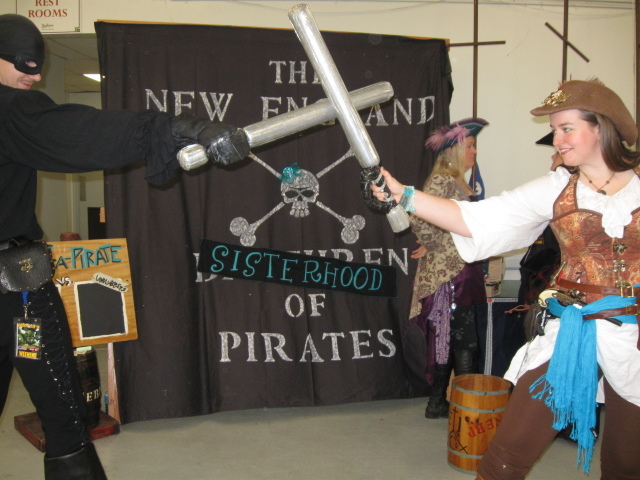 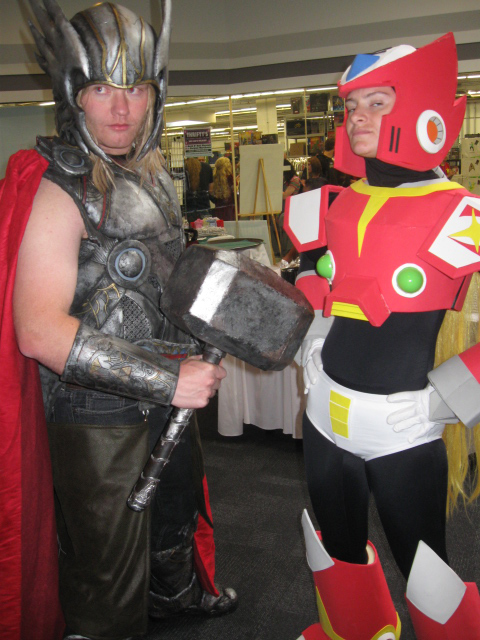 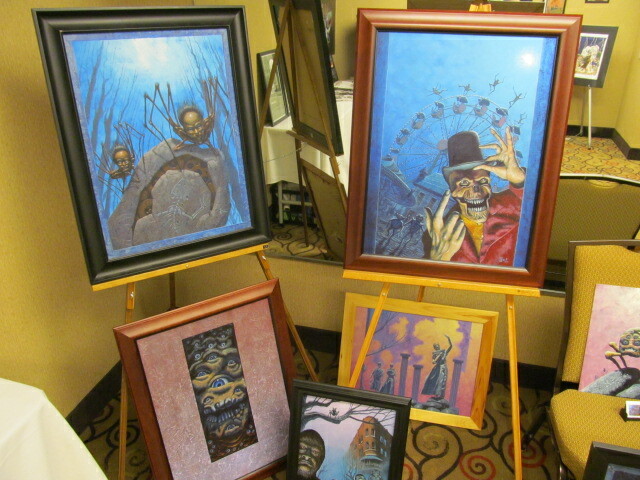 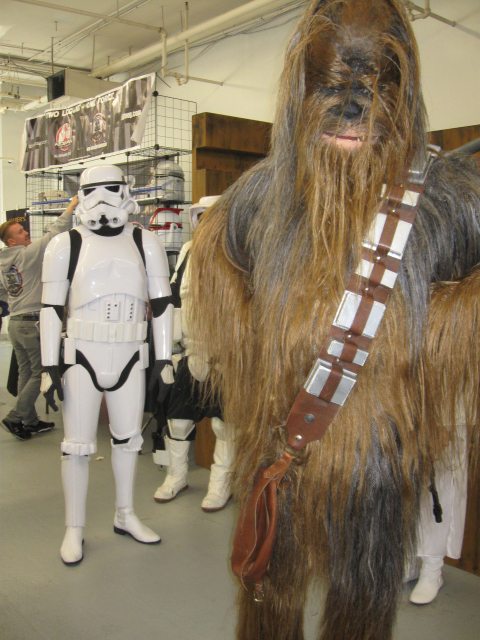 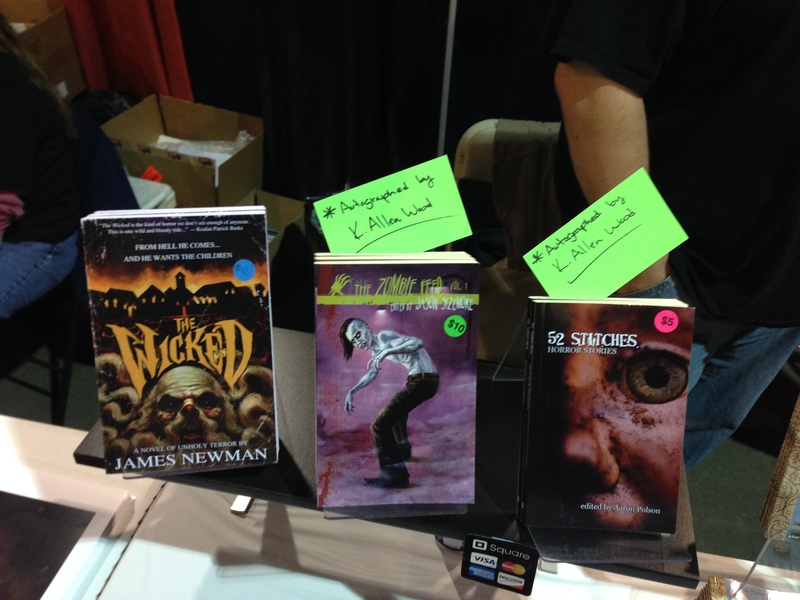 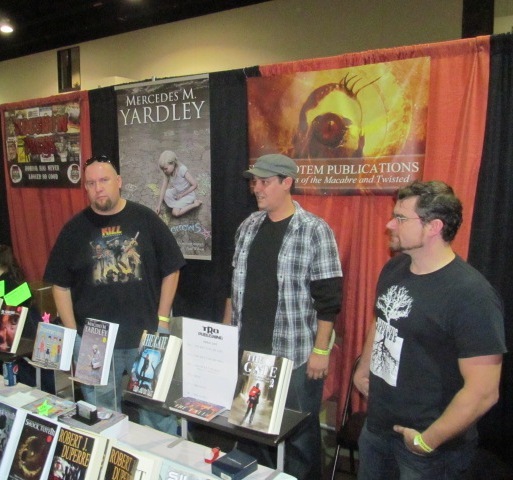 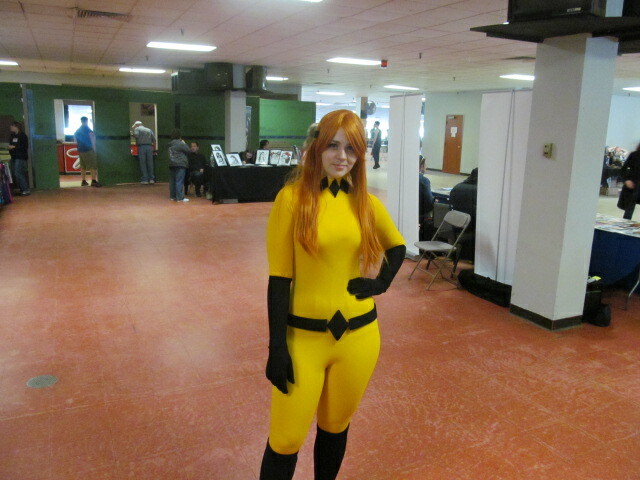 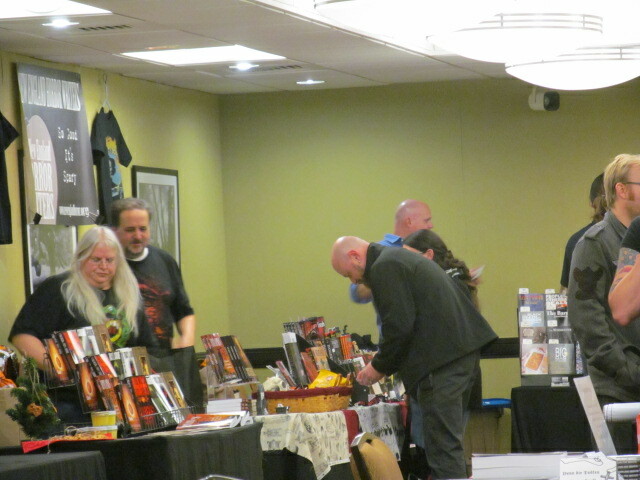 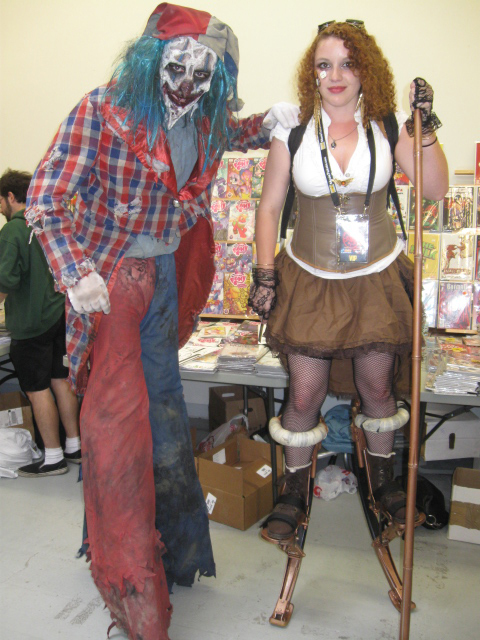 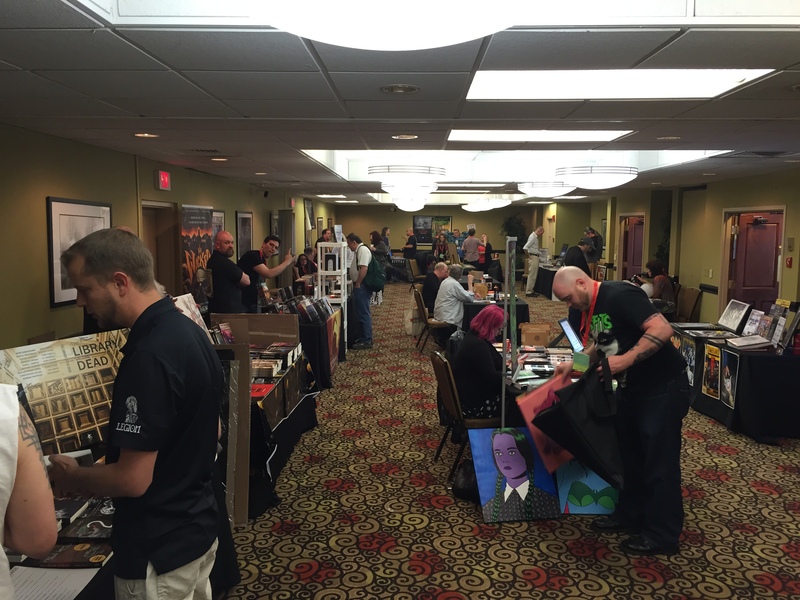 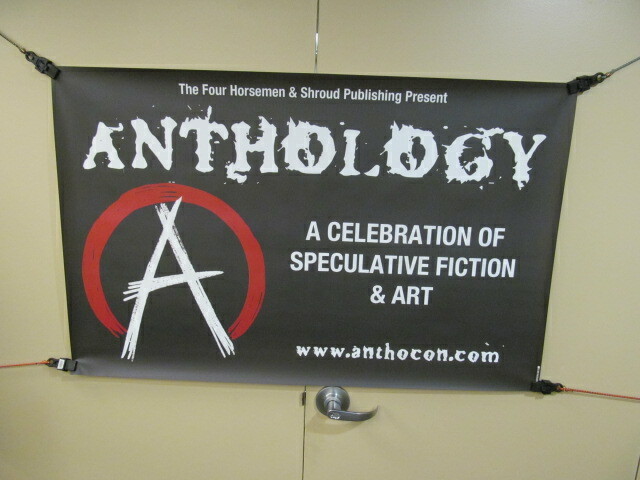 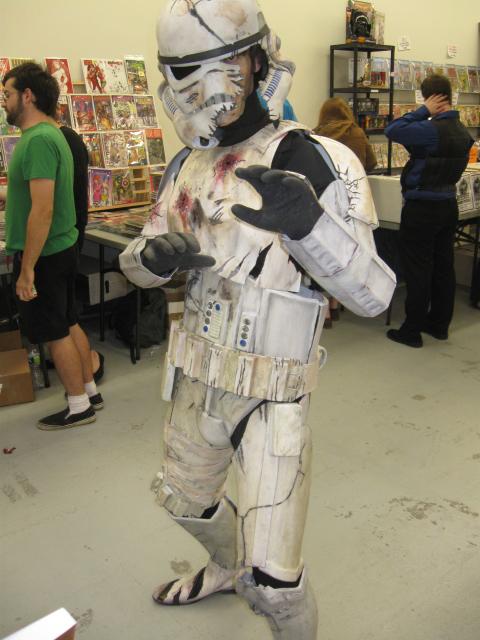 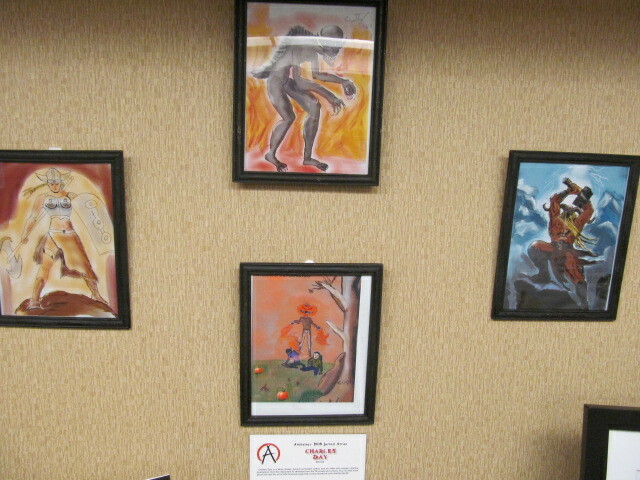 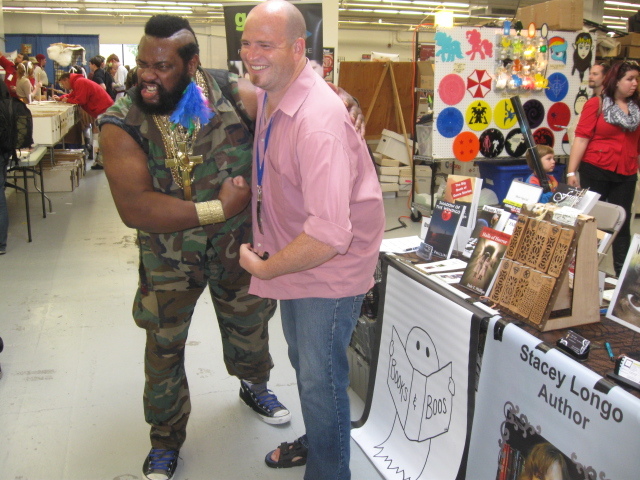 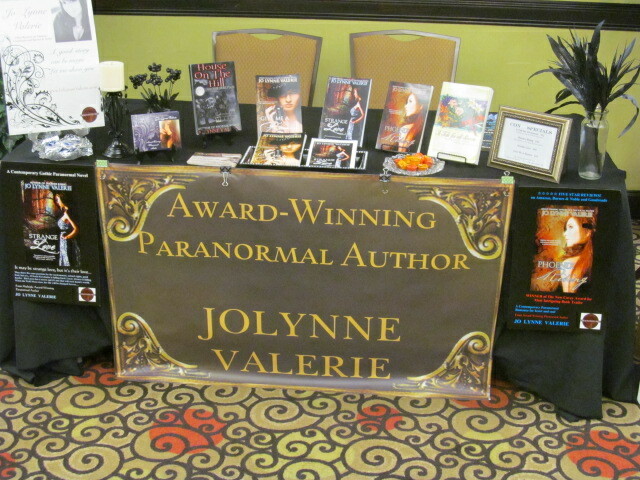 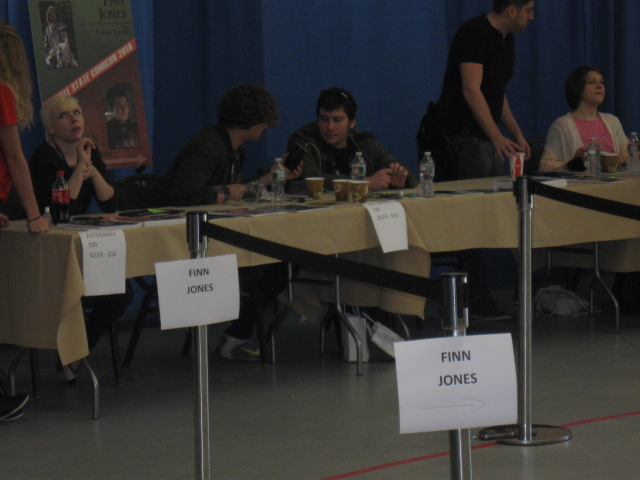 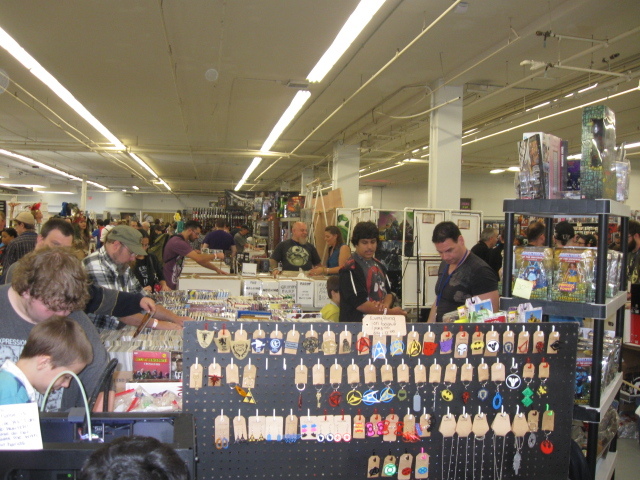 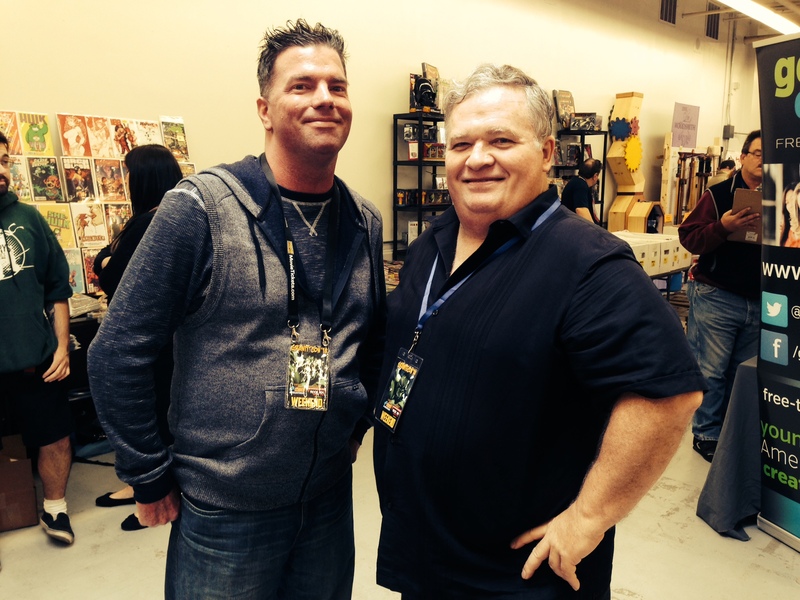 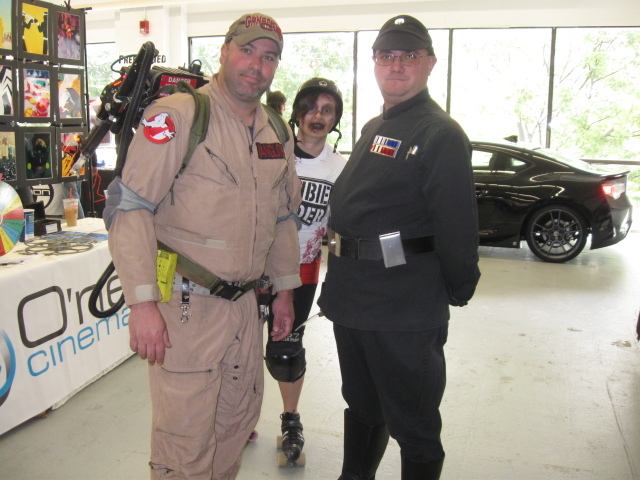 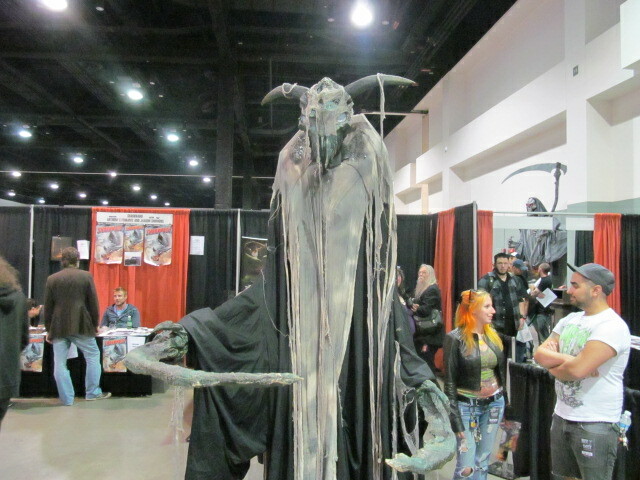 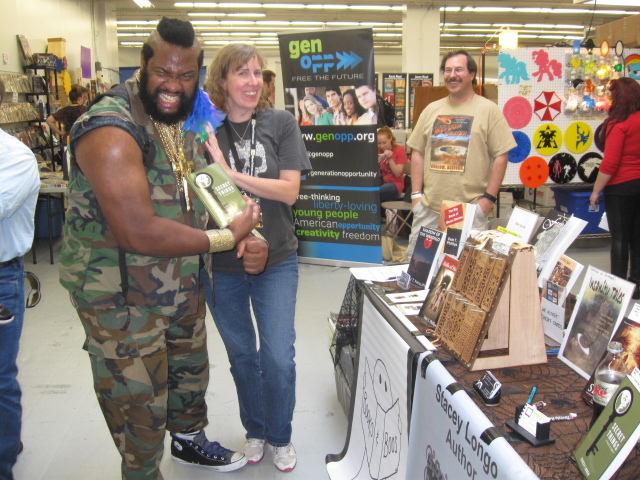 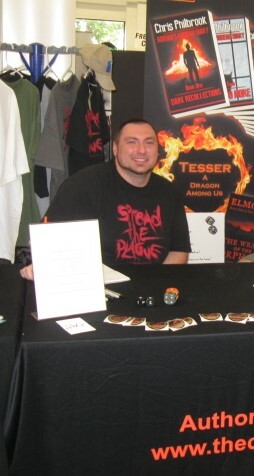 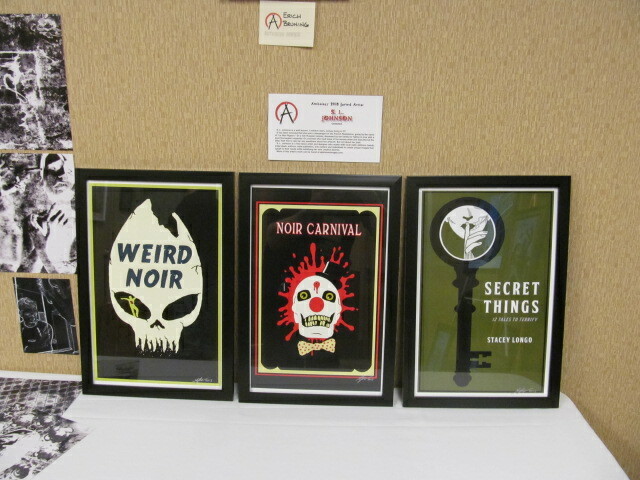 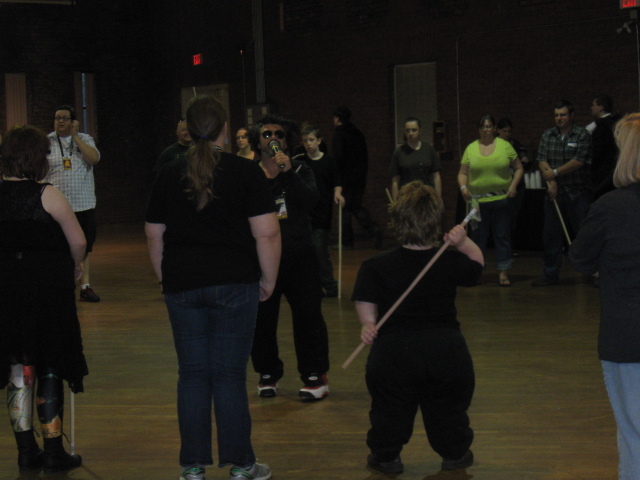 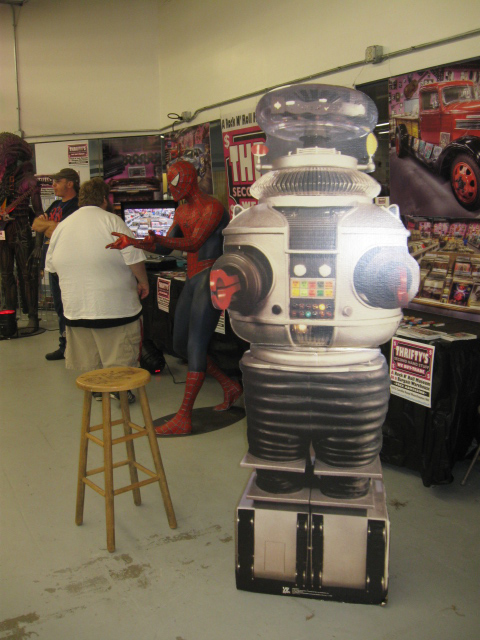 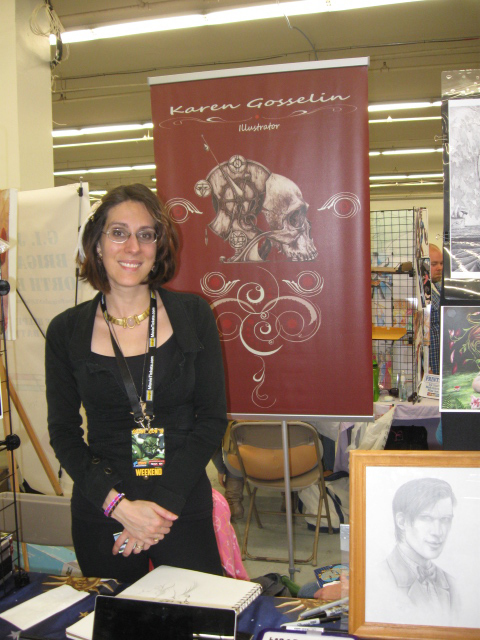 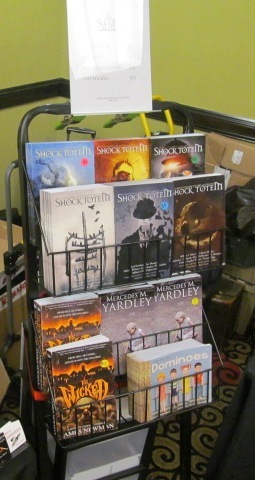 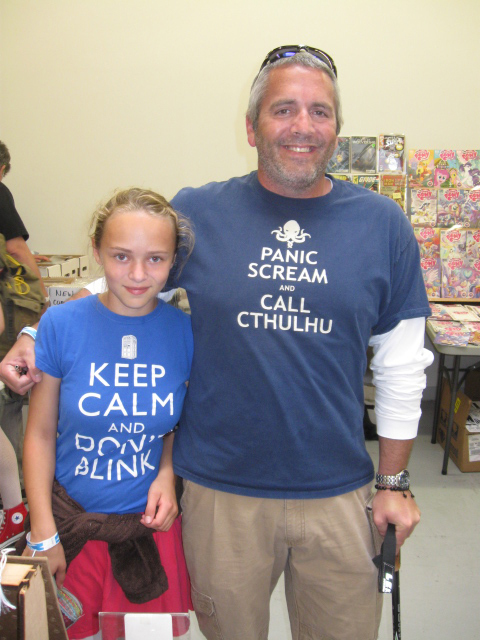 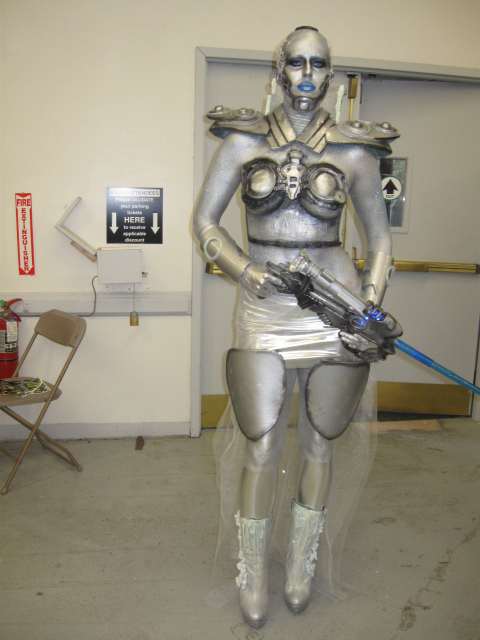 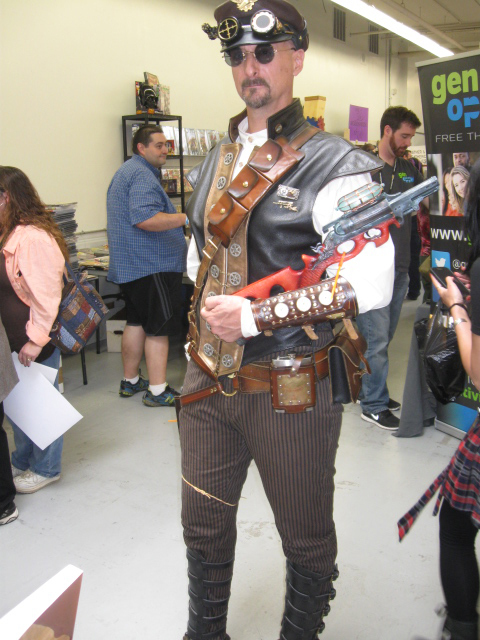 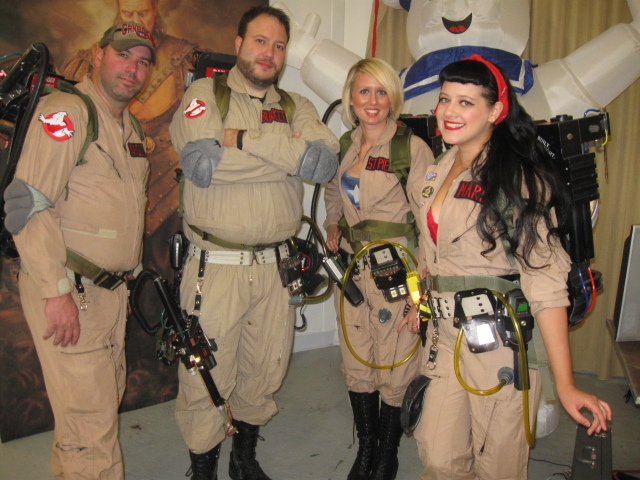 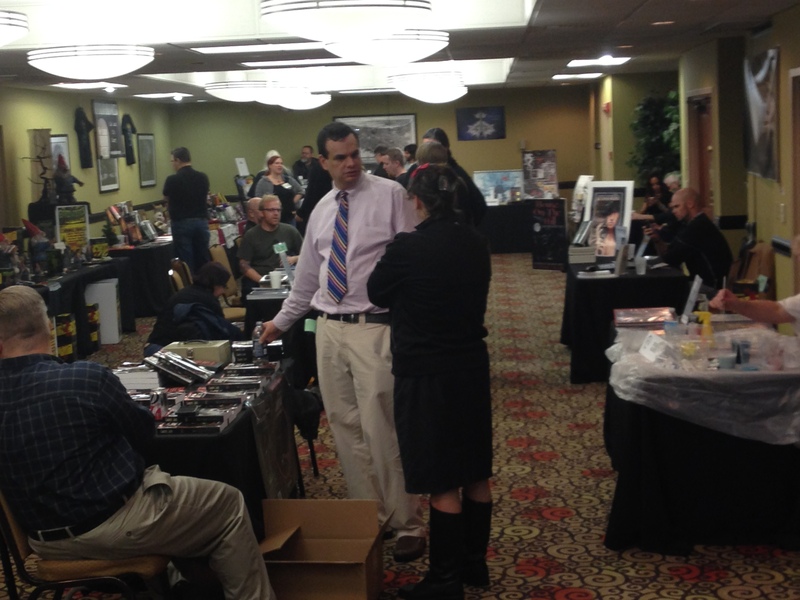 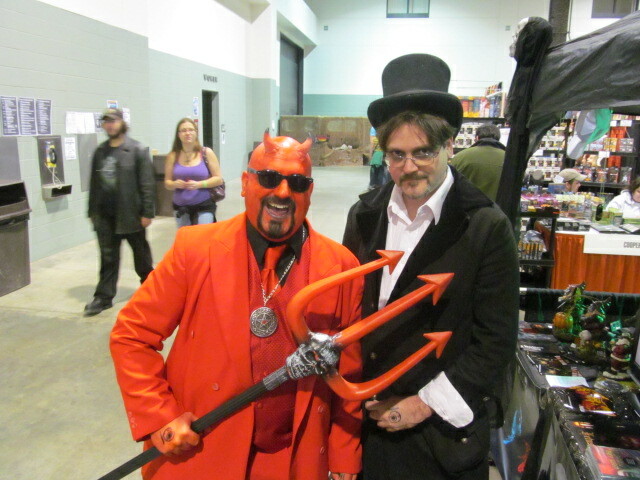 The first Rock Comic Expo happened yesterday at the Rockingham Park in Salem, New Hampshire. 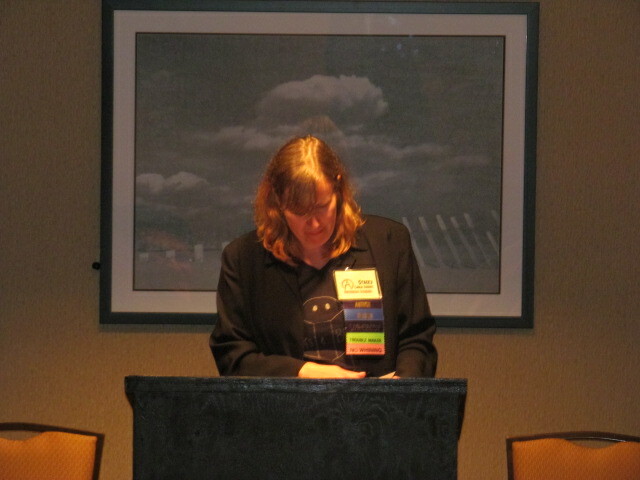 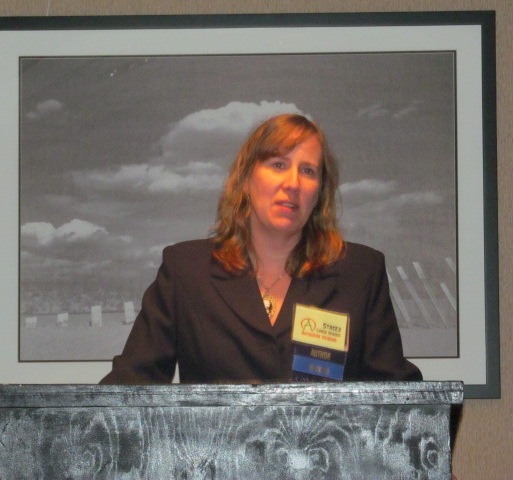 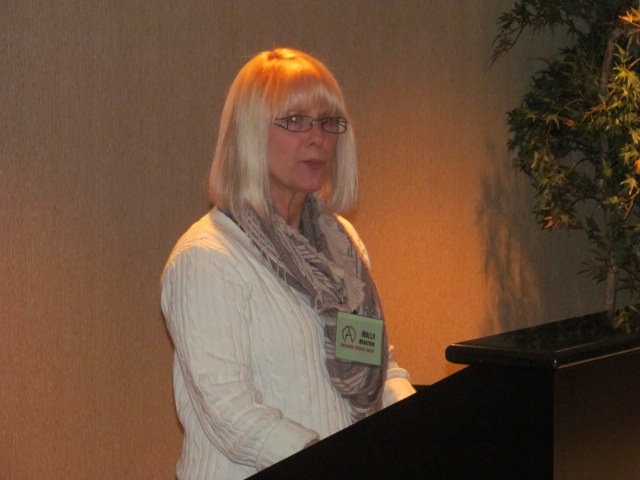 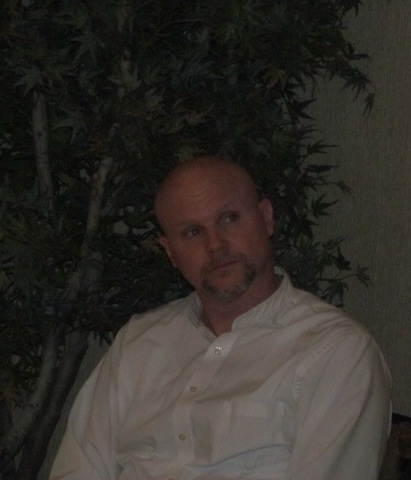 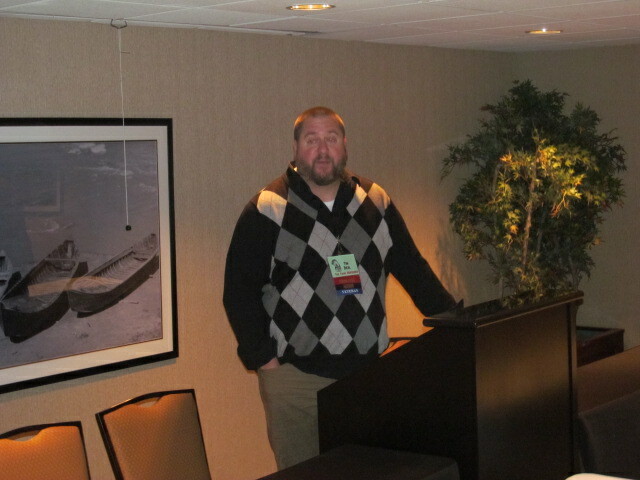 The Expo was created by J. Moulton. 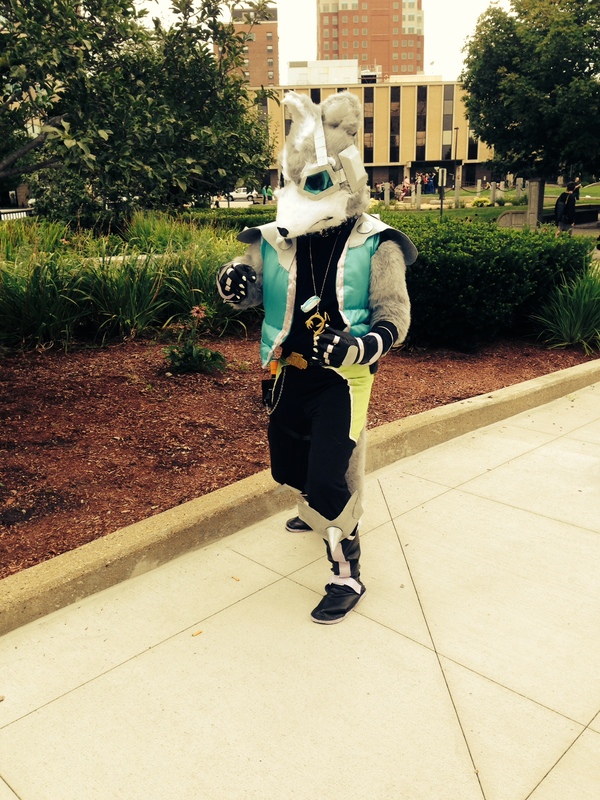 It ran from 10 a.m. to 7 p.m. 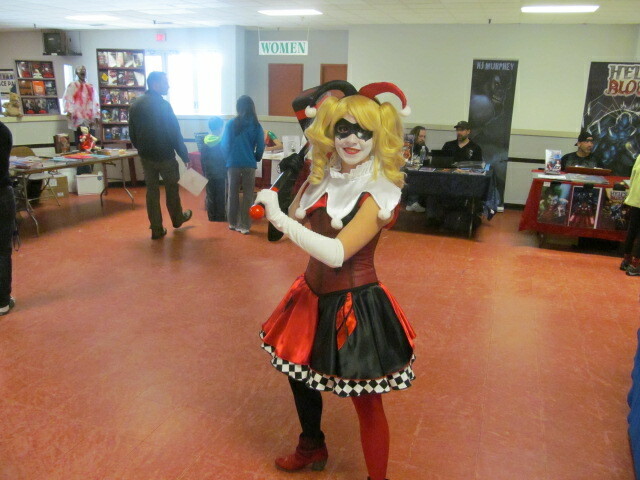 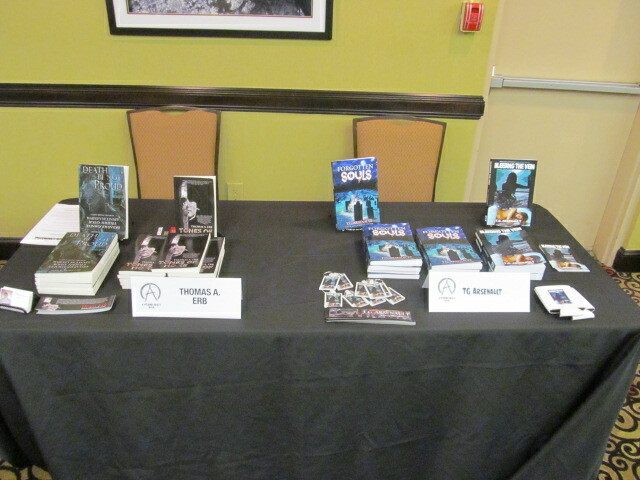 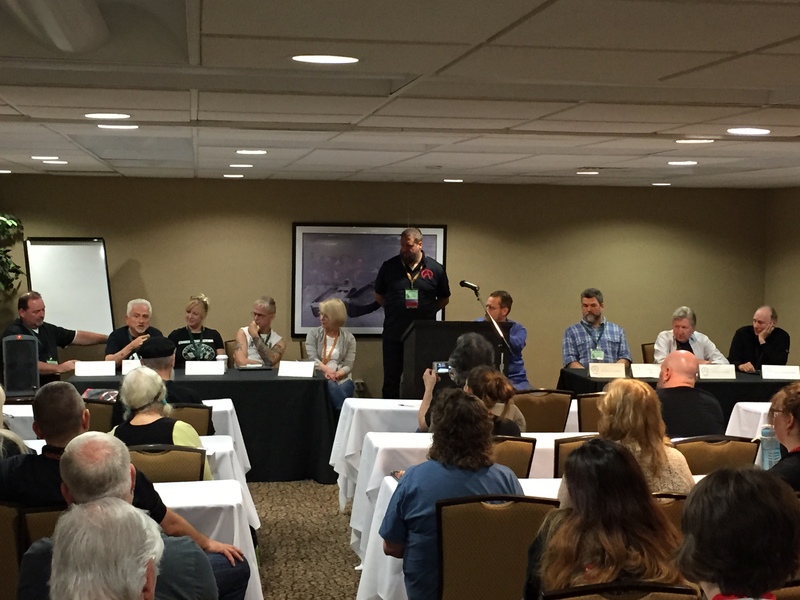 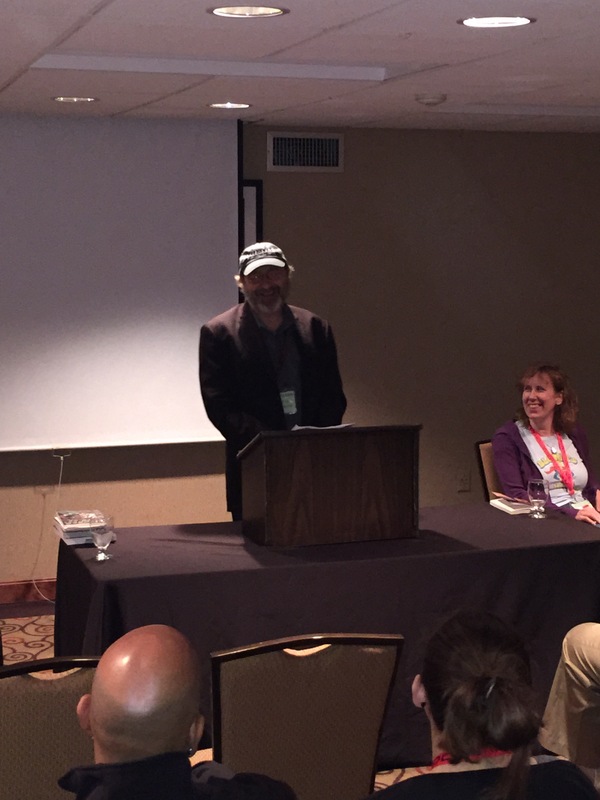 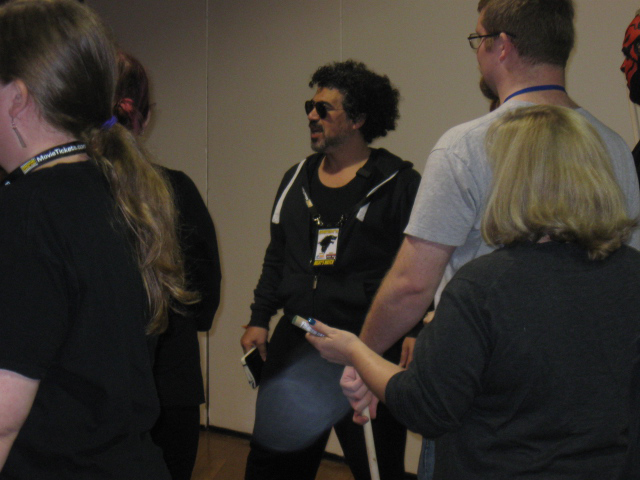 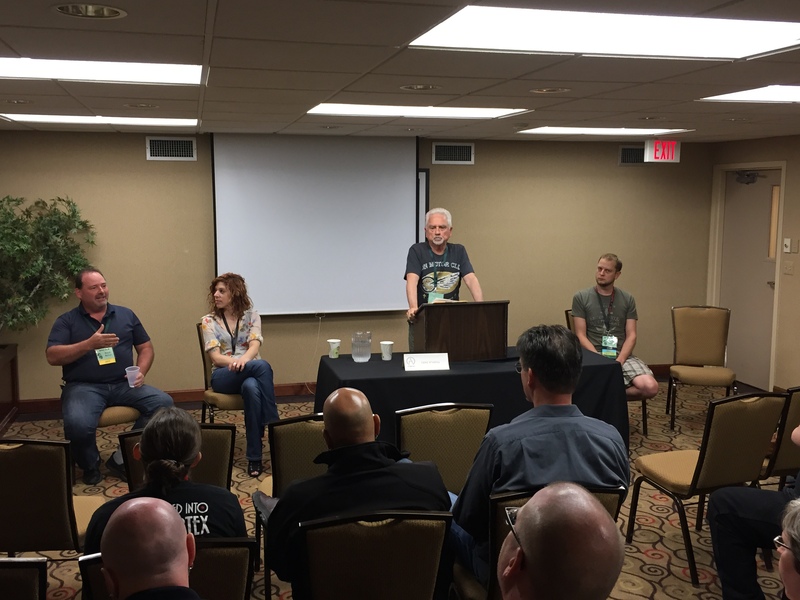 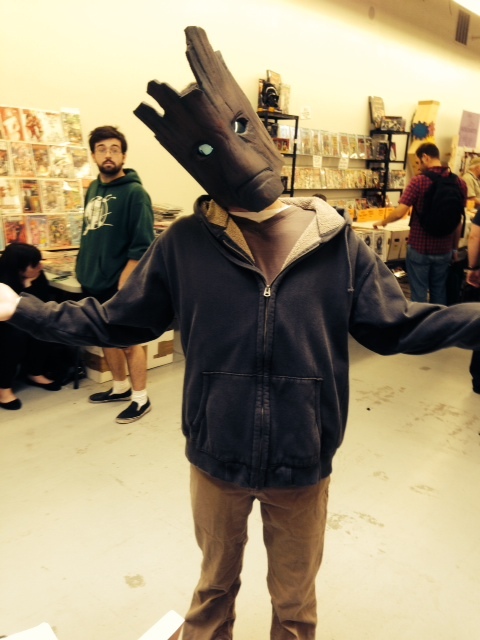 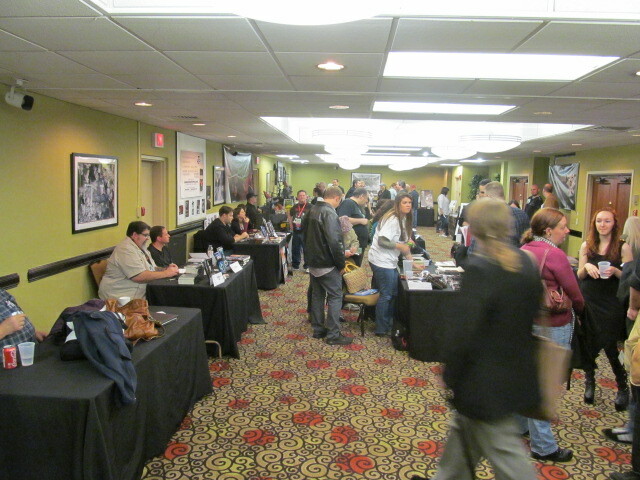 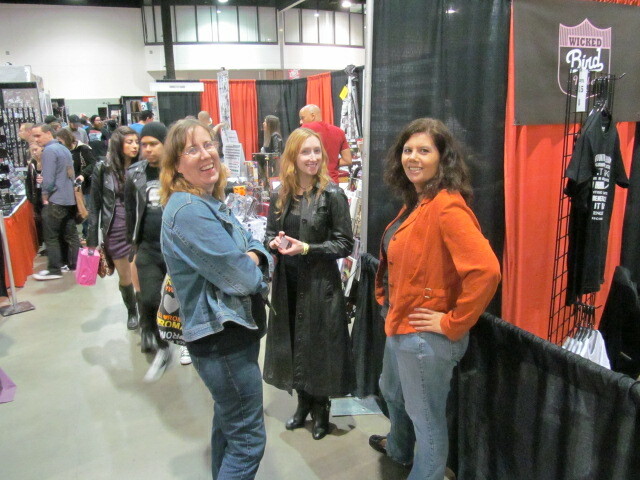 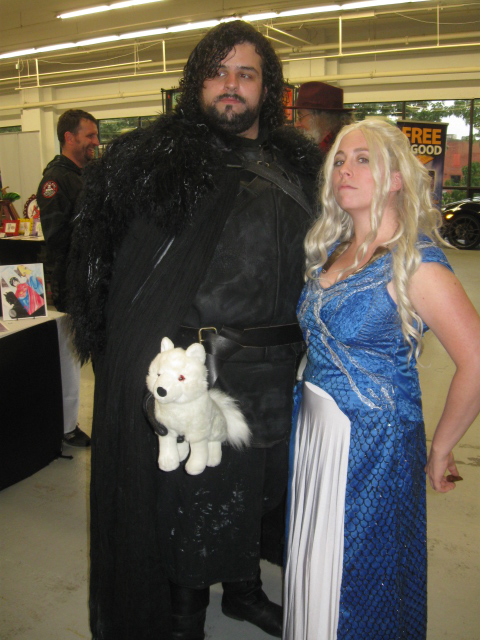 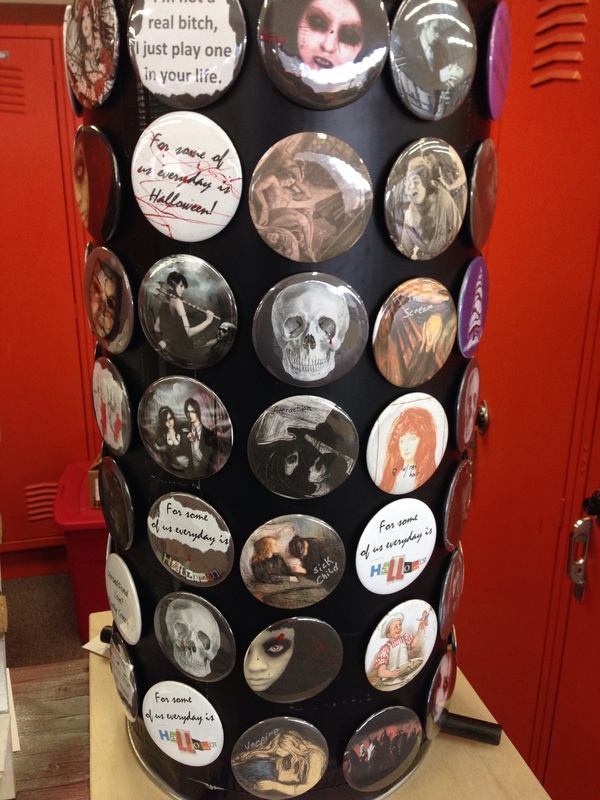 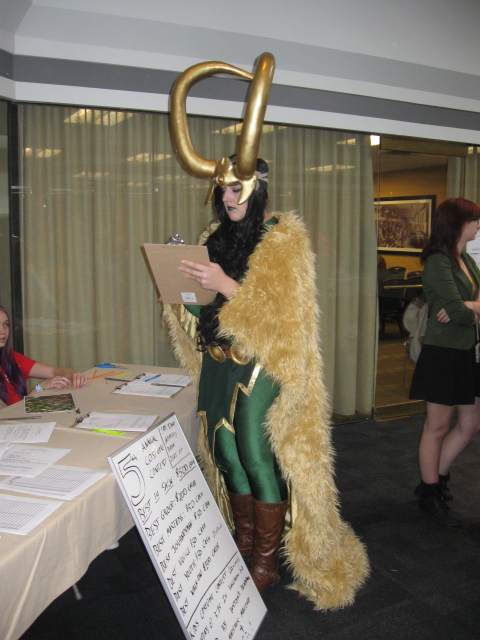 It was a day of people in cosplay and talking with authors and artists. 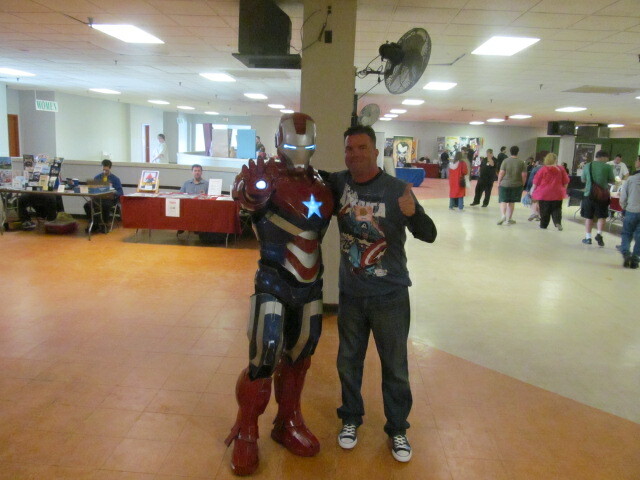 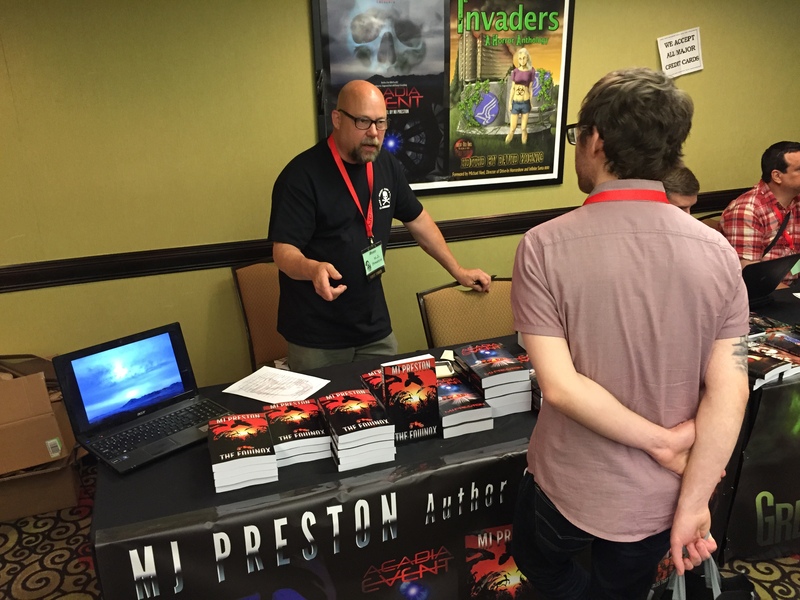 Author Rob Watts with the Iron Patriot. 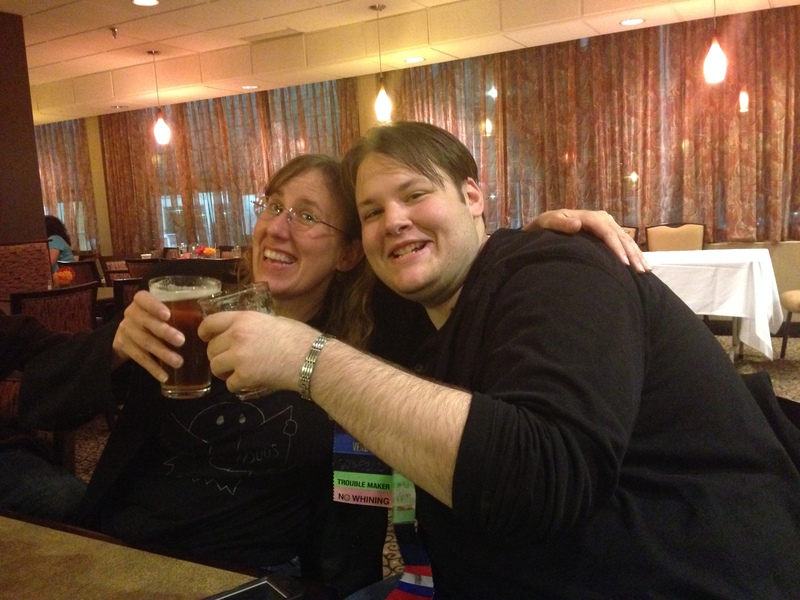 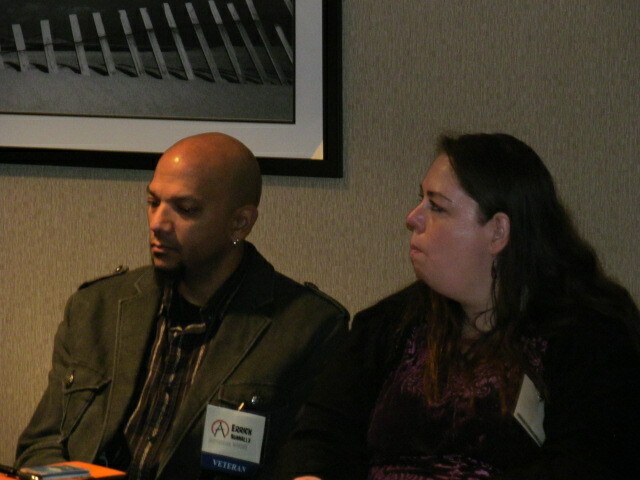 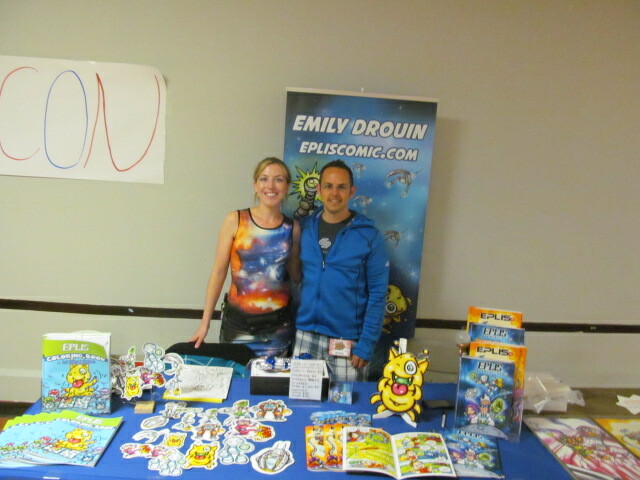 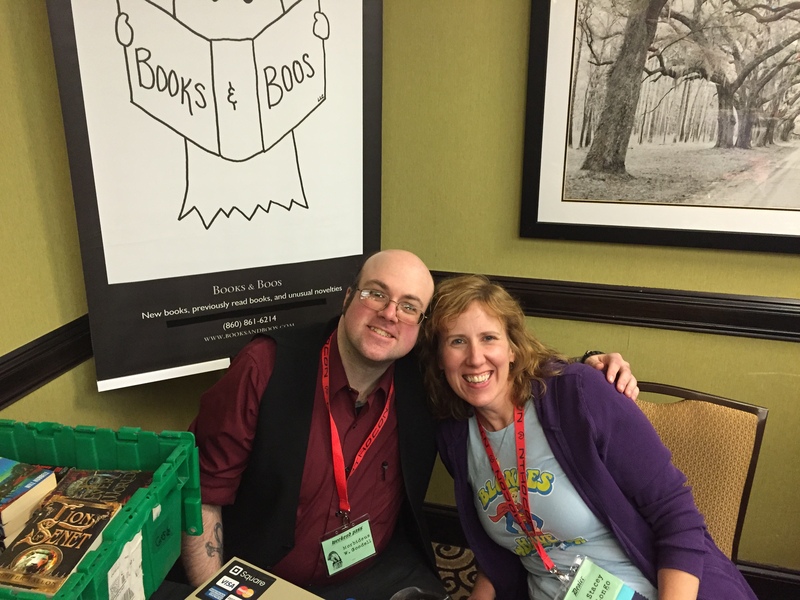 Emily and Jeremy Drouin of Eplis Comic. 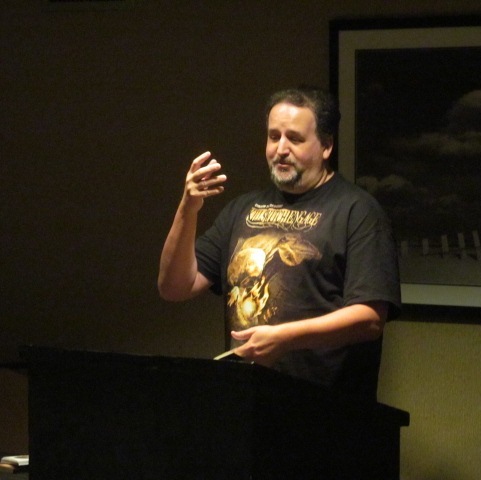 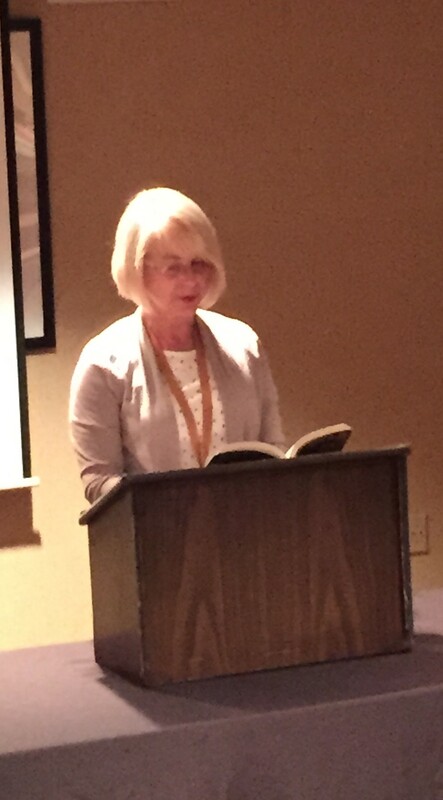 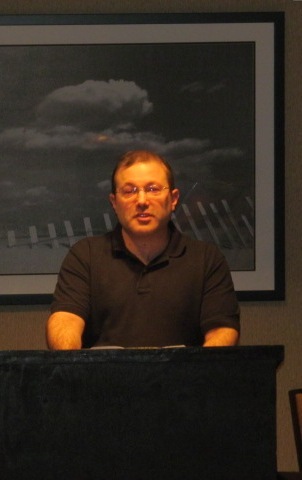 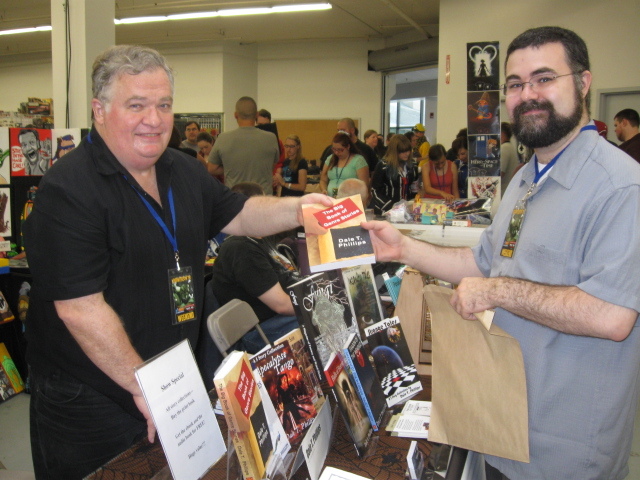 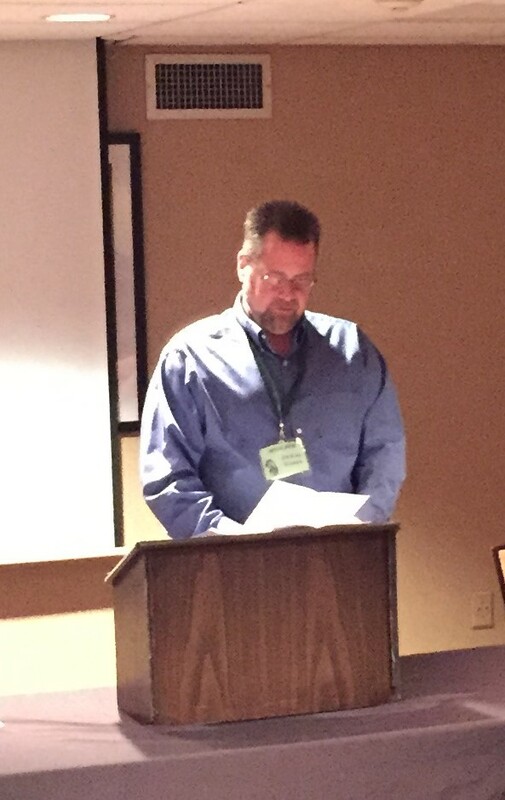 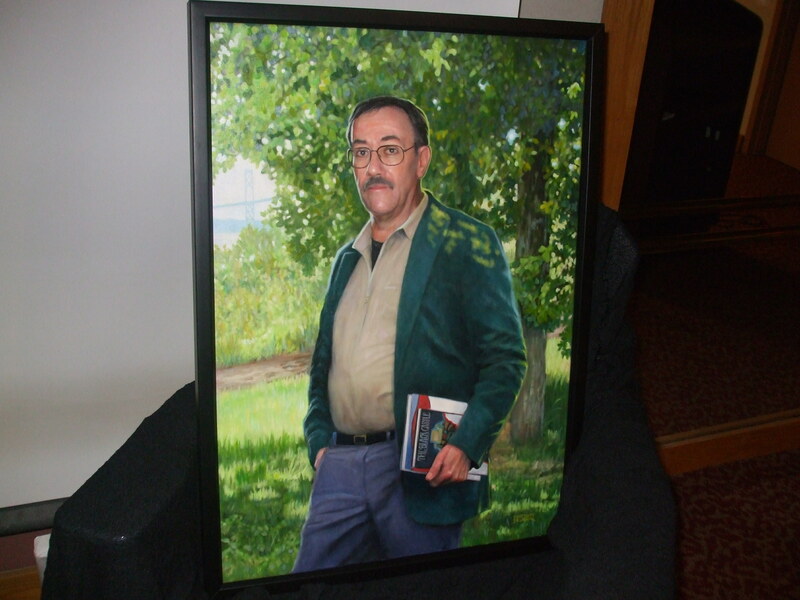 Author Dale T. Phillips holding his book, Crooked Paths. 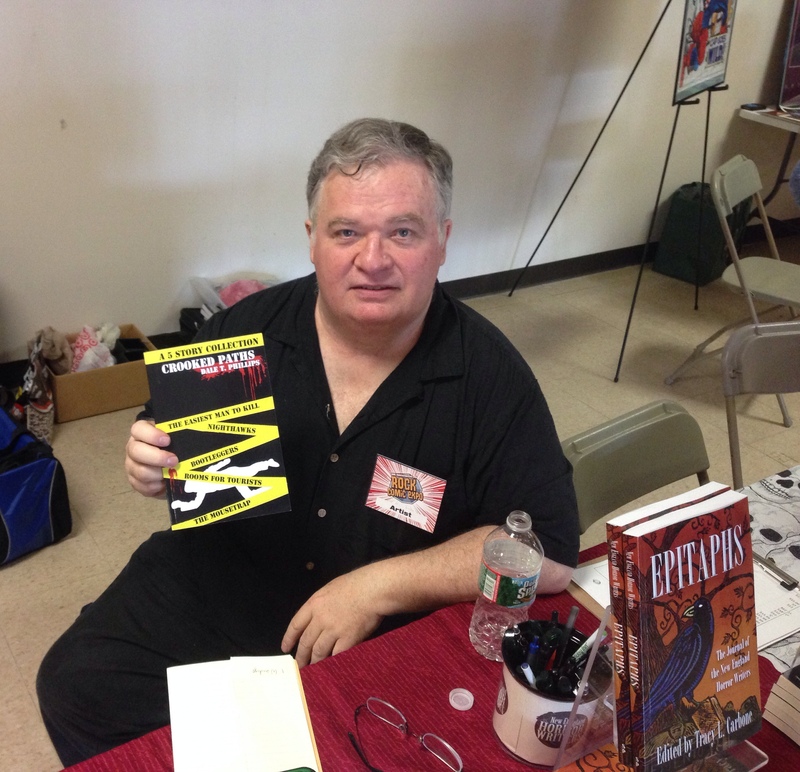 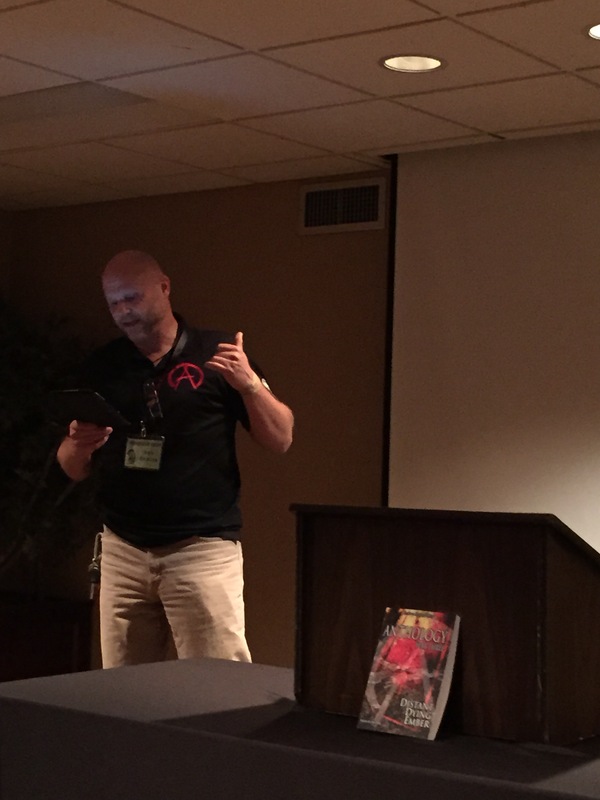 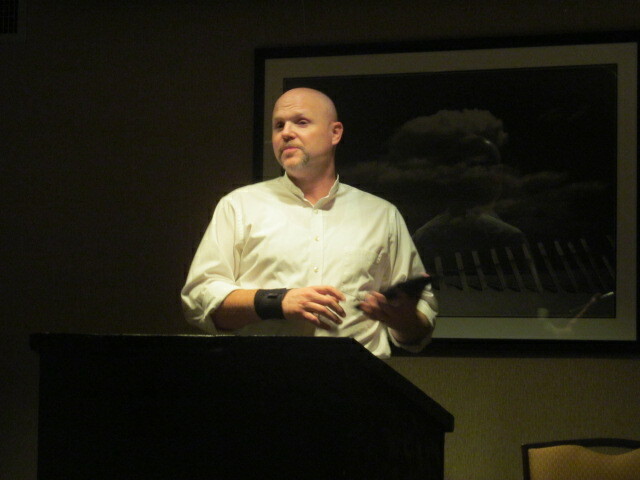 Author Rob Watts holding his latest book, Left-Hand Path. 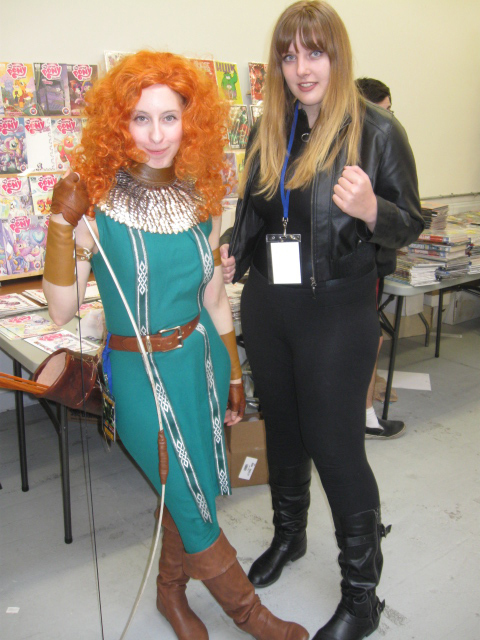 Crystalia Amaquelin of Marvel’s The Inhumans. 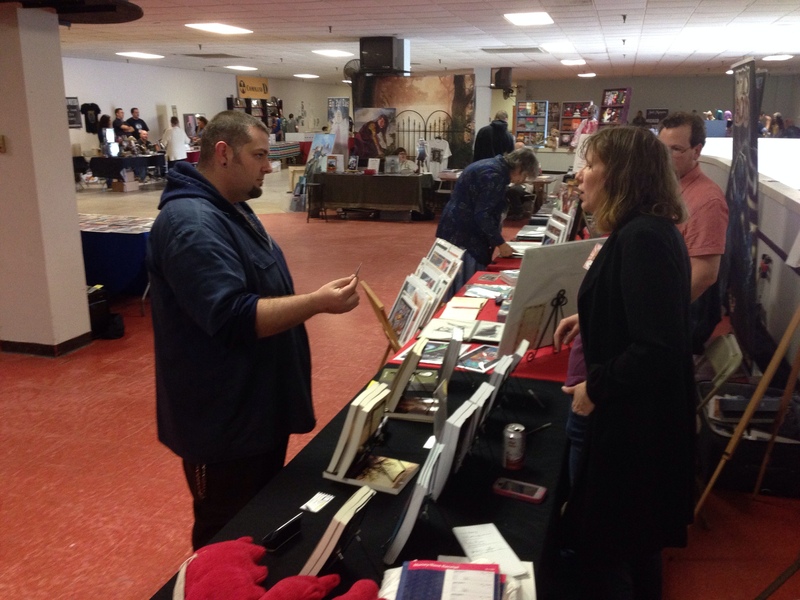 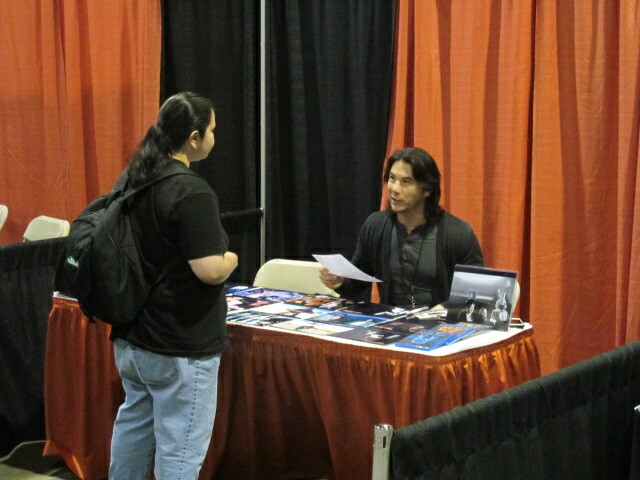 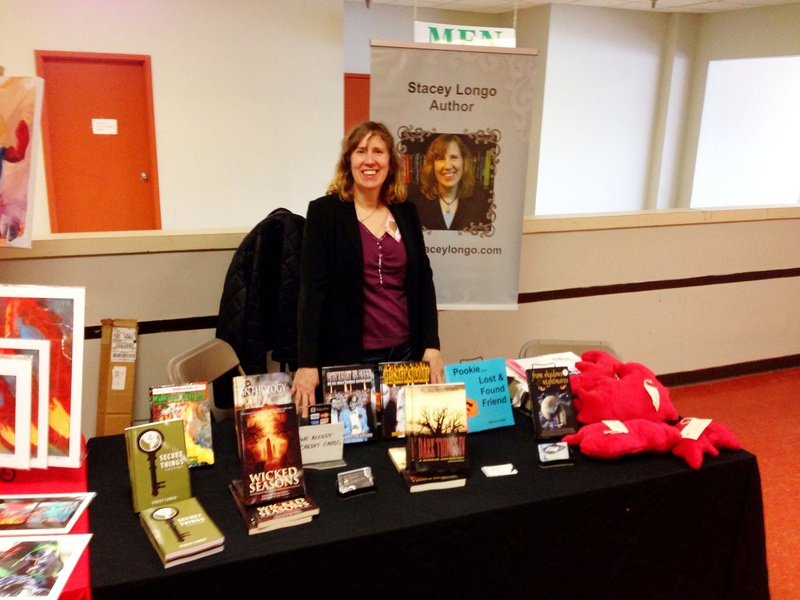 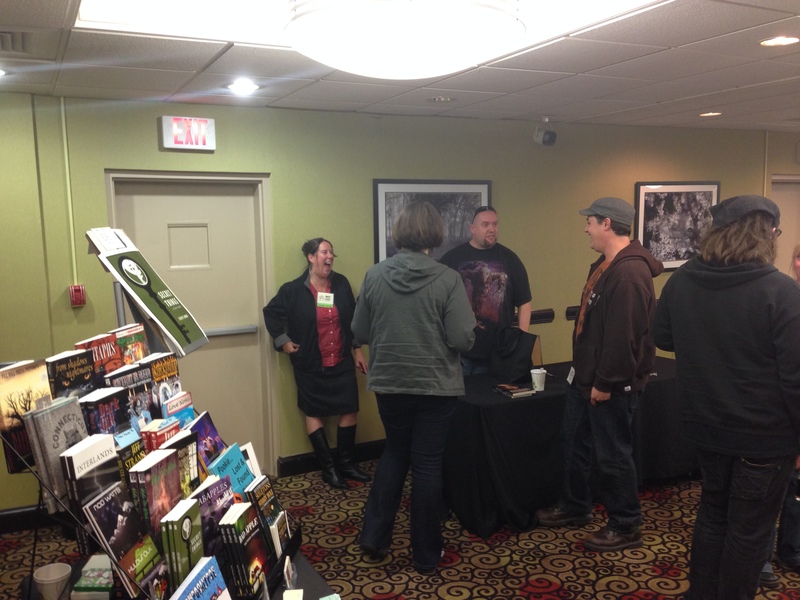 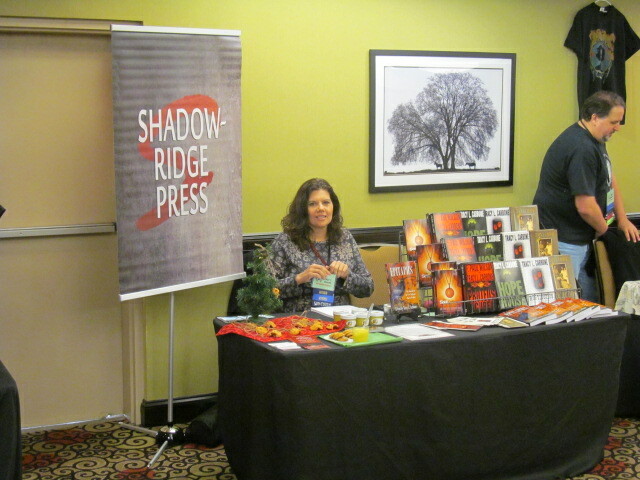 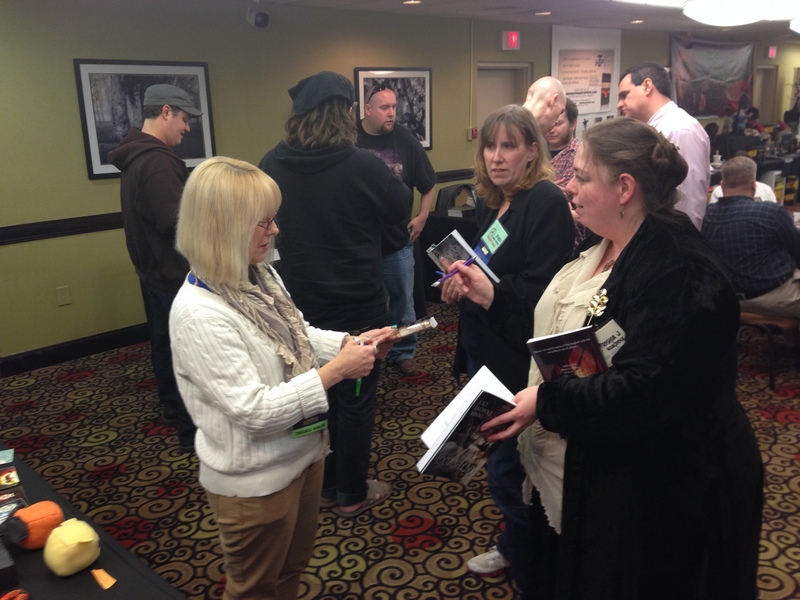 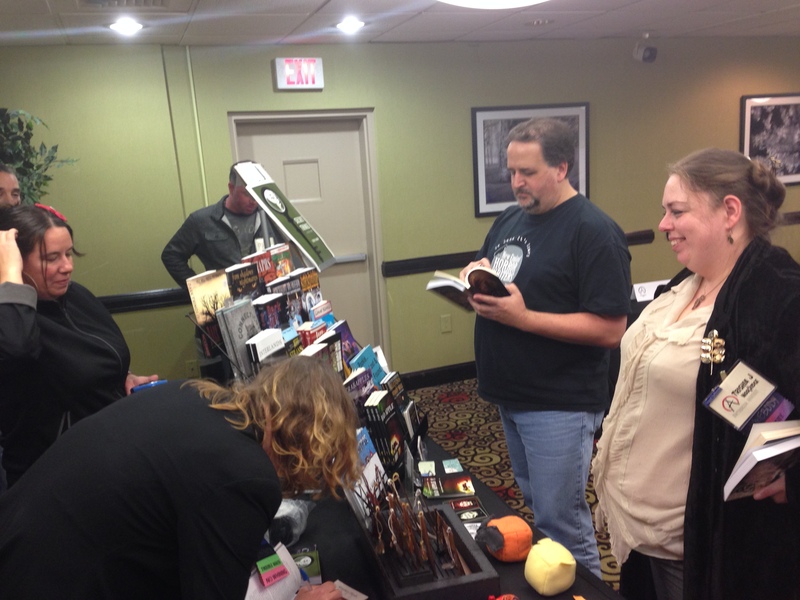 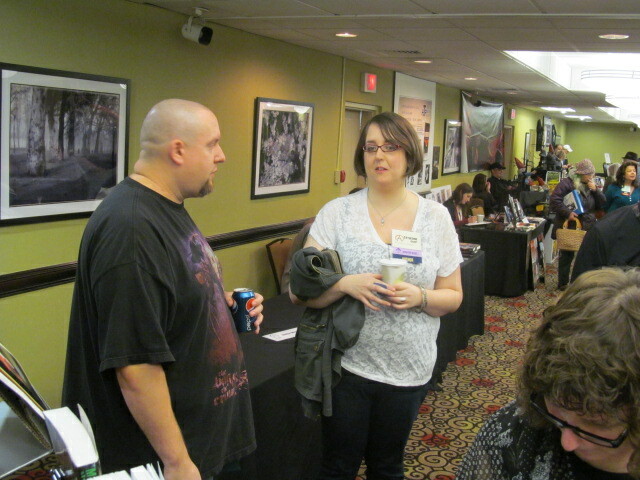 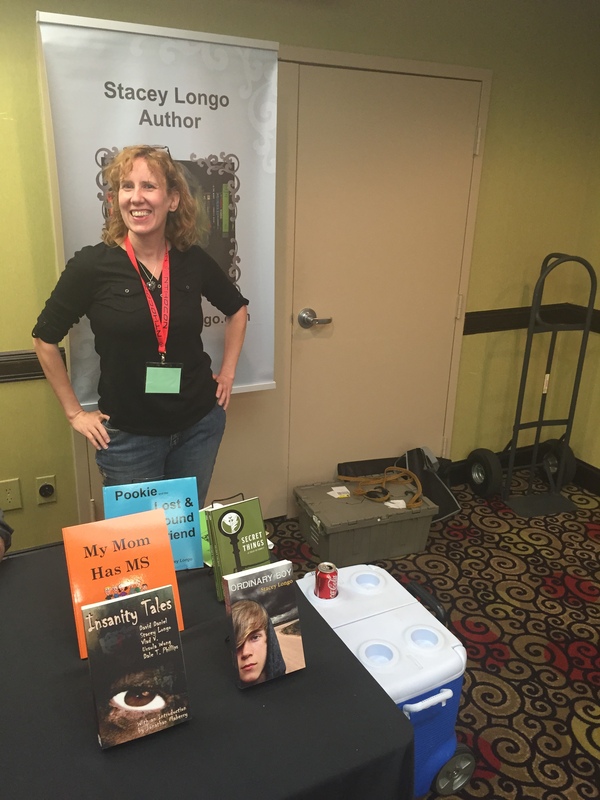 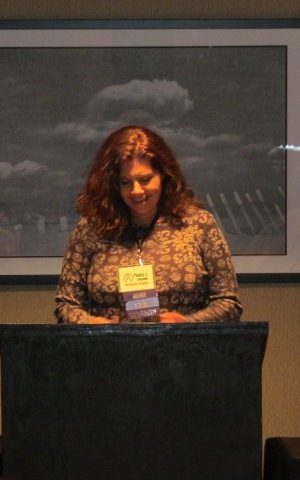 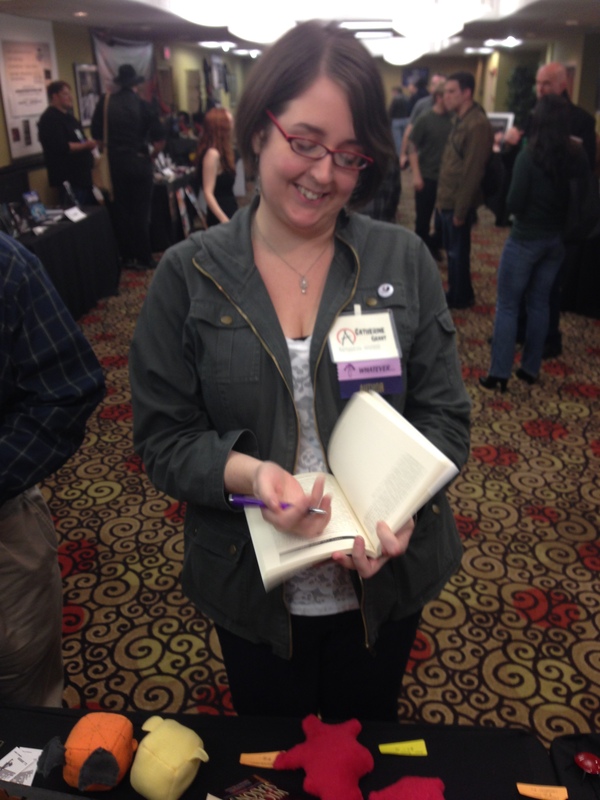 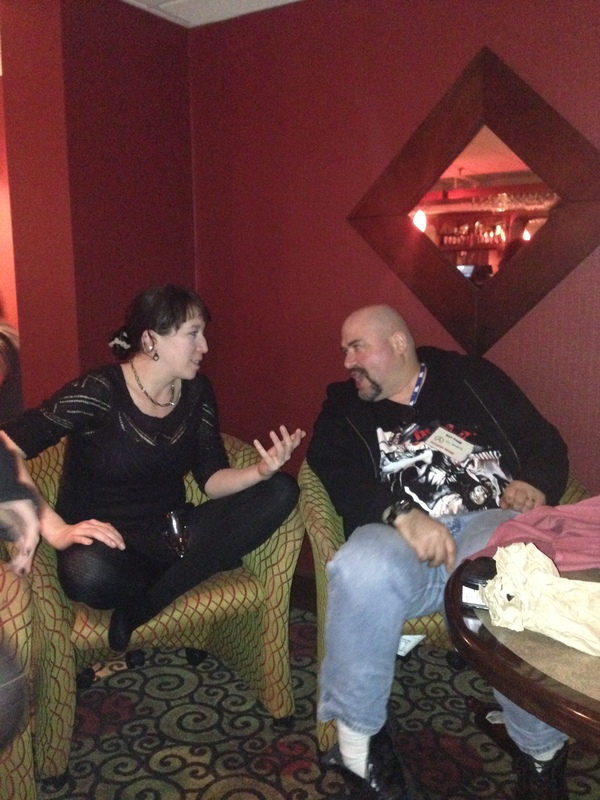 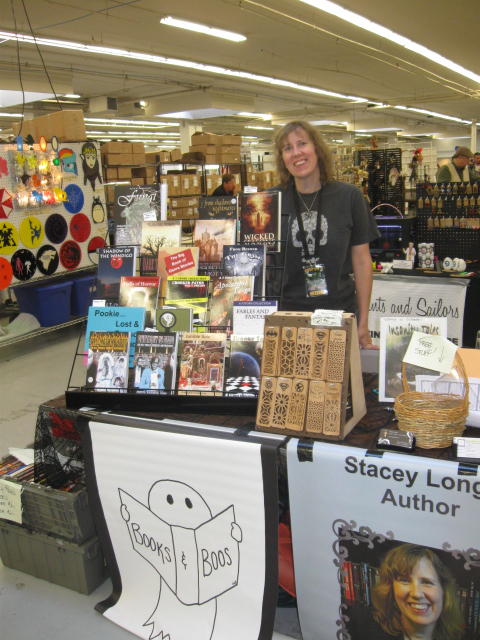 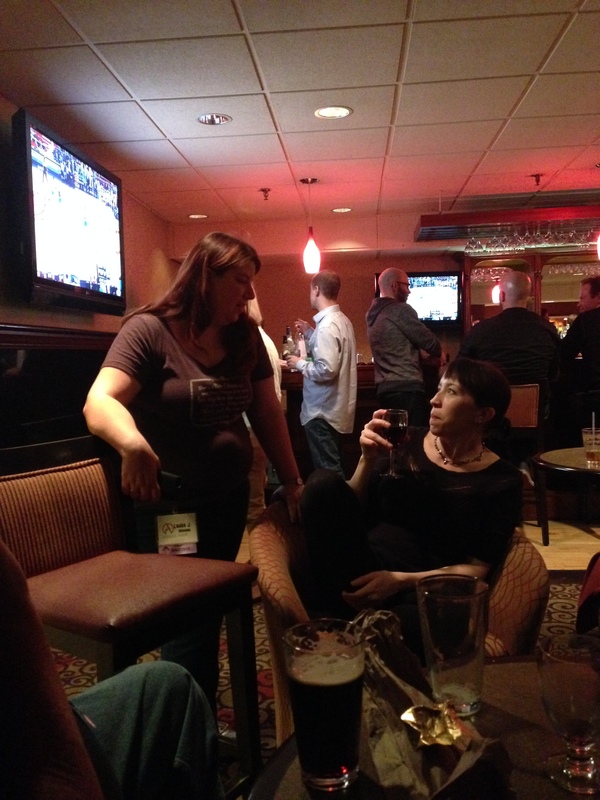 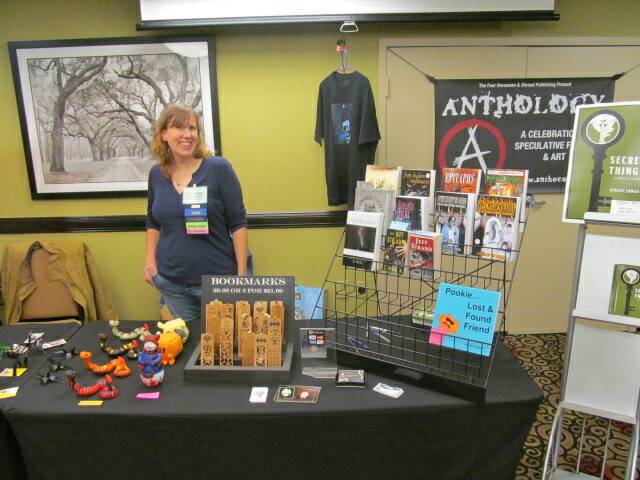 Author Stacey Longo talking with an expo attendee. 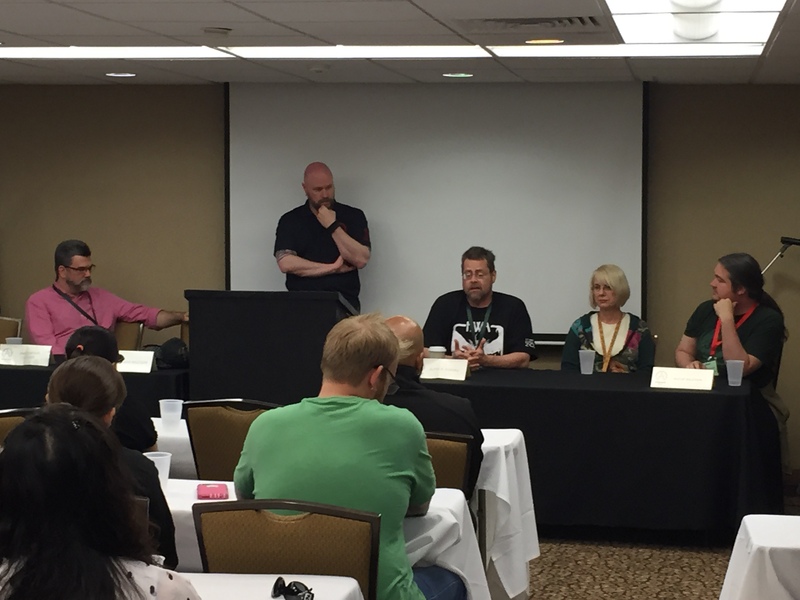 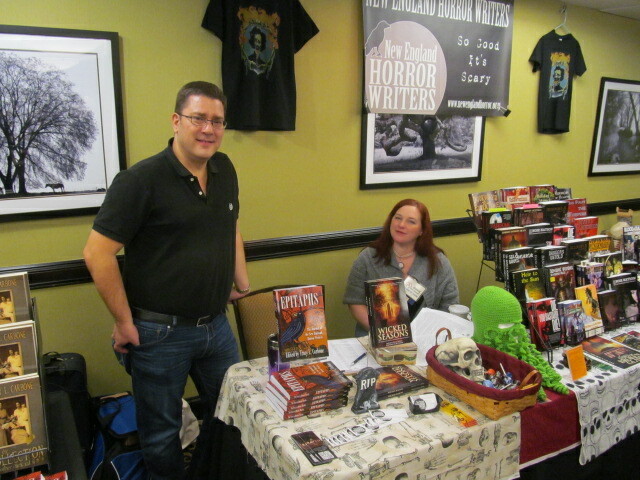 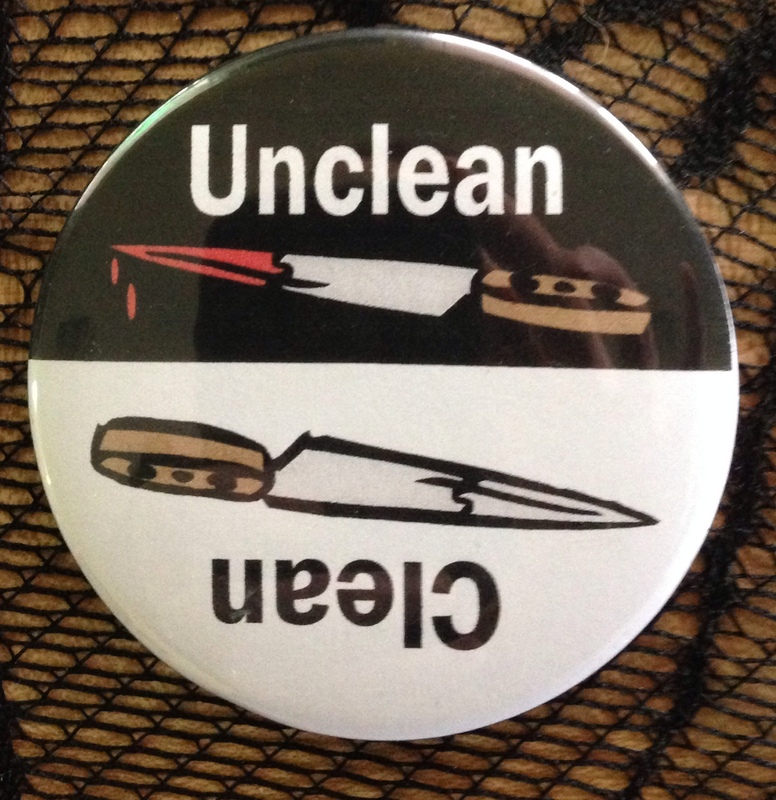 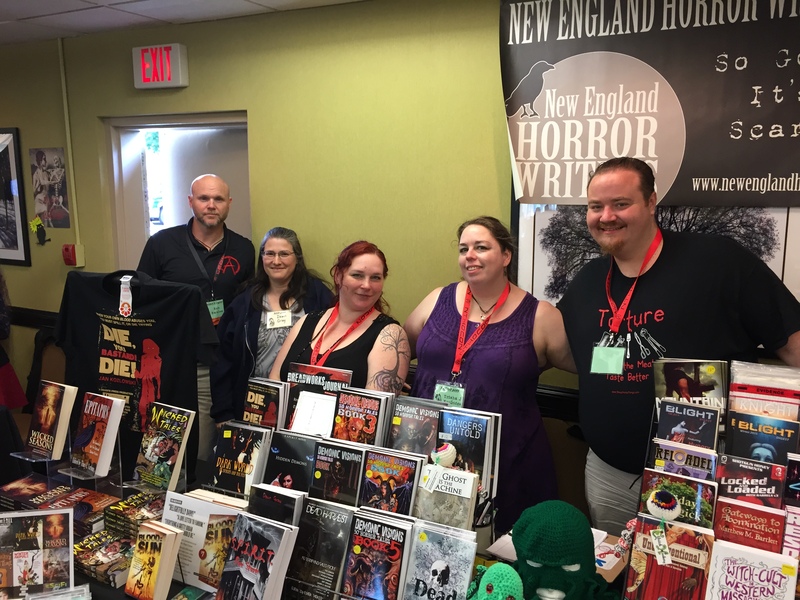 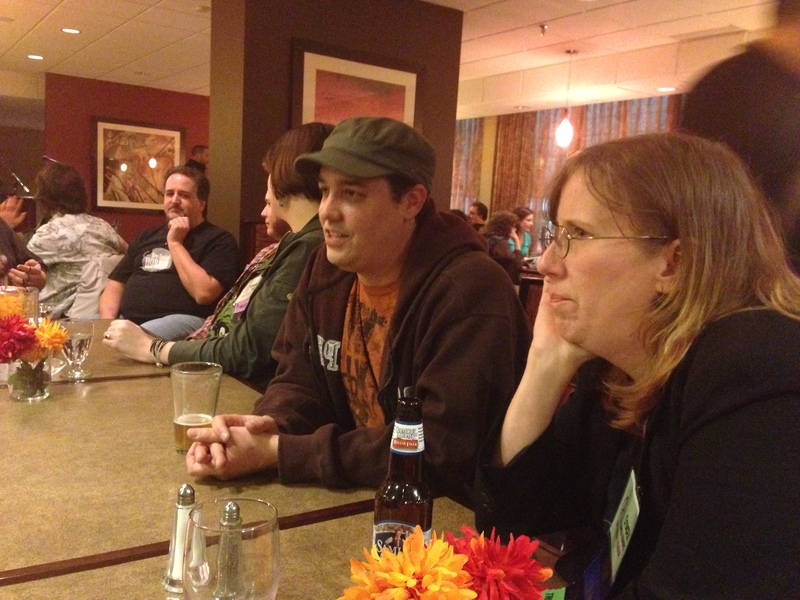 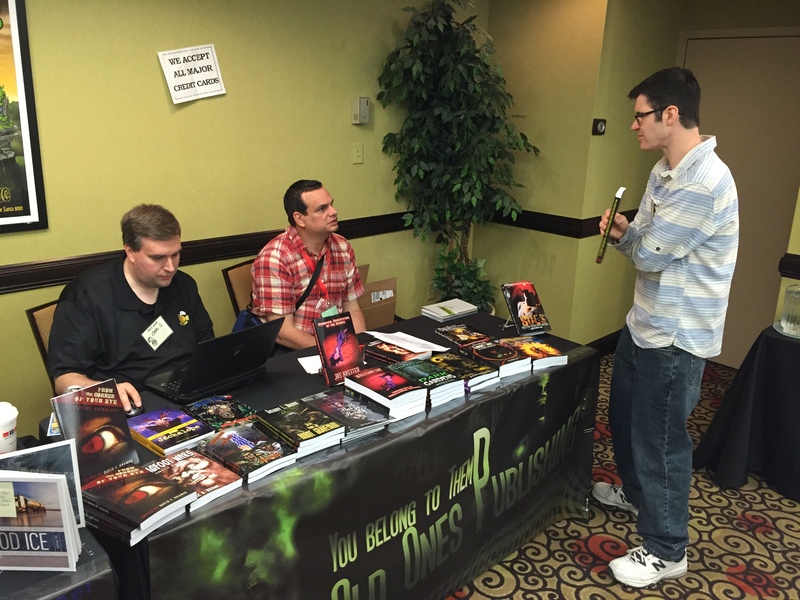 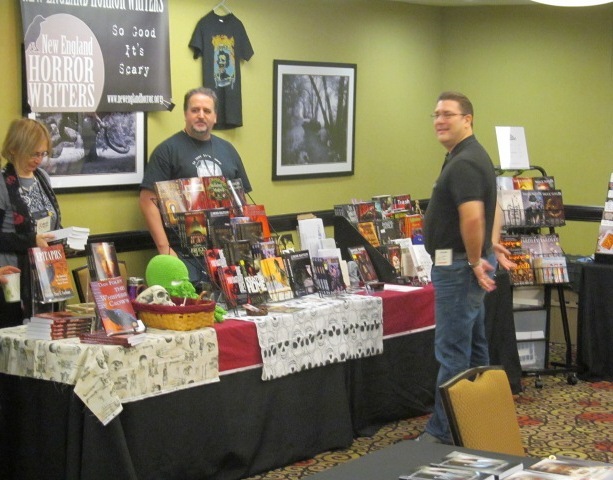 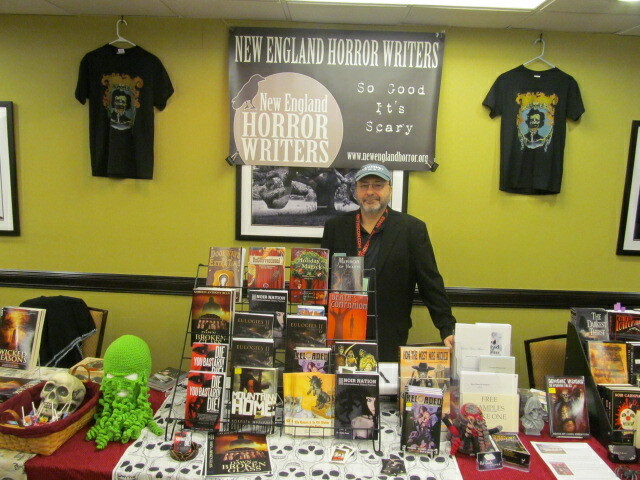 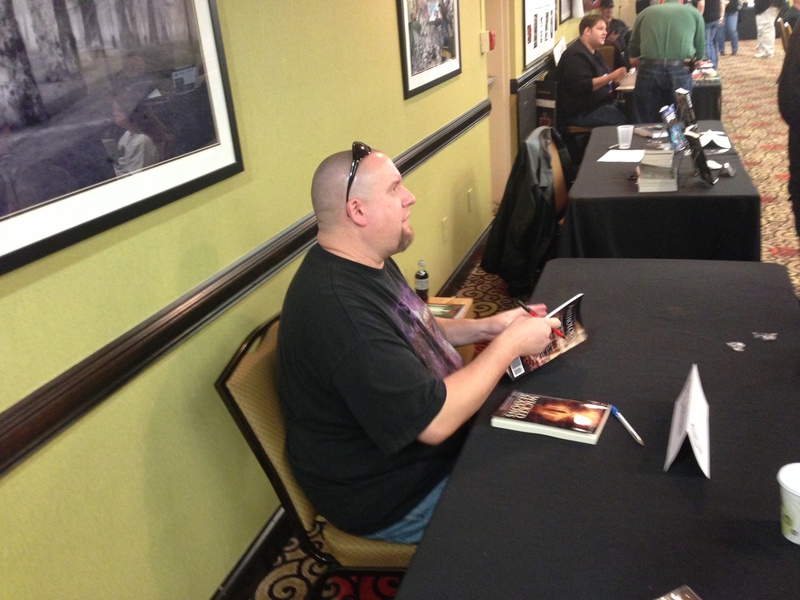 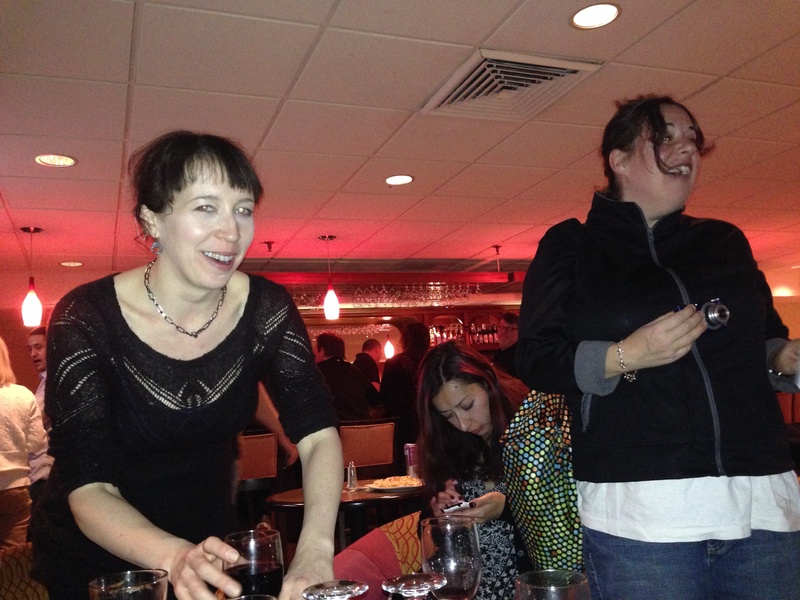 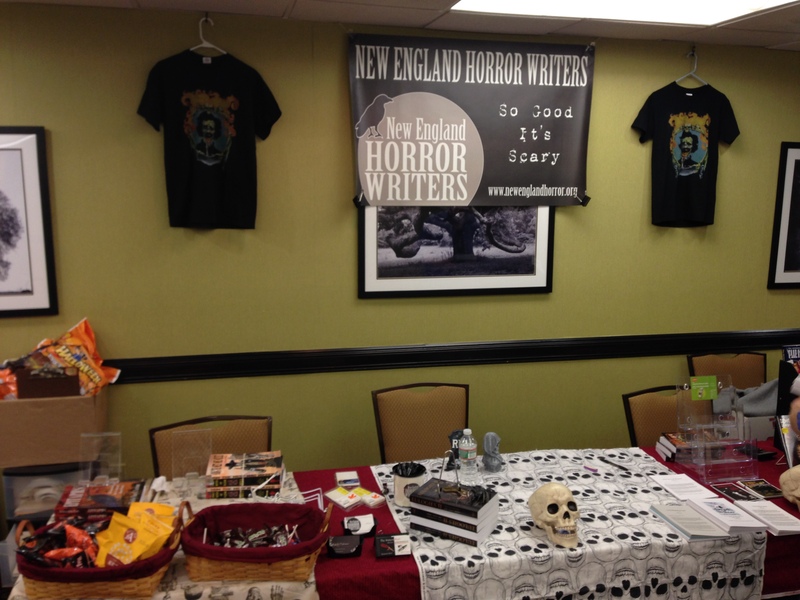 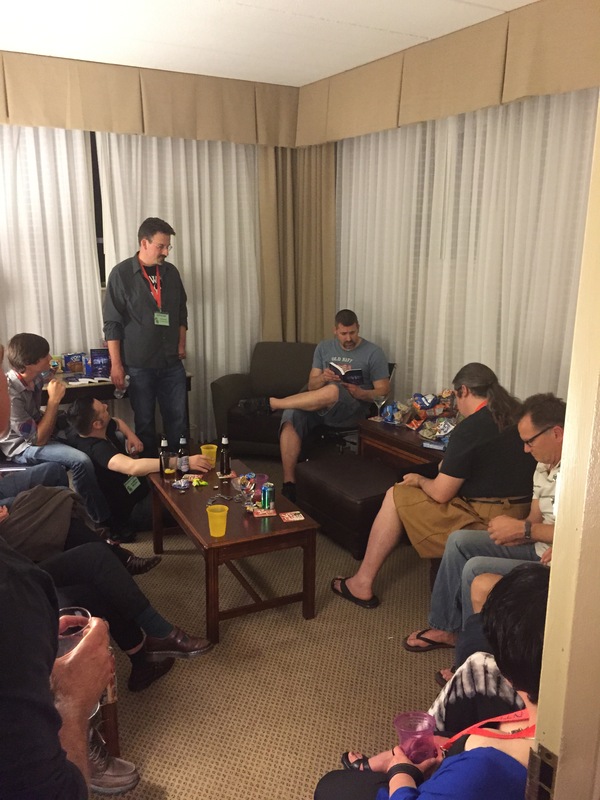 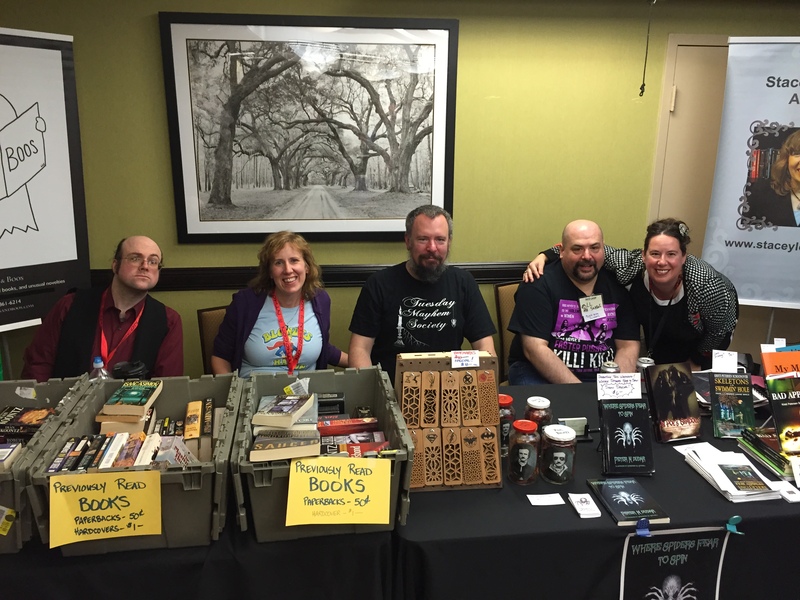 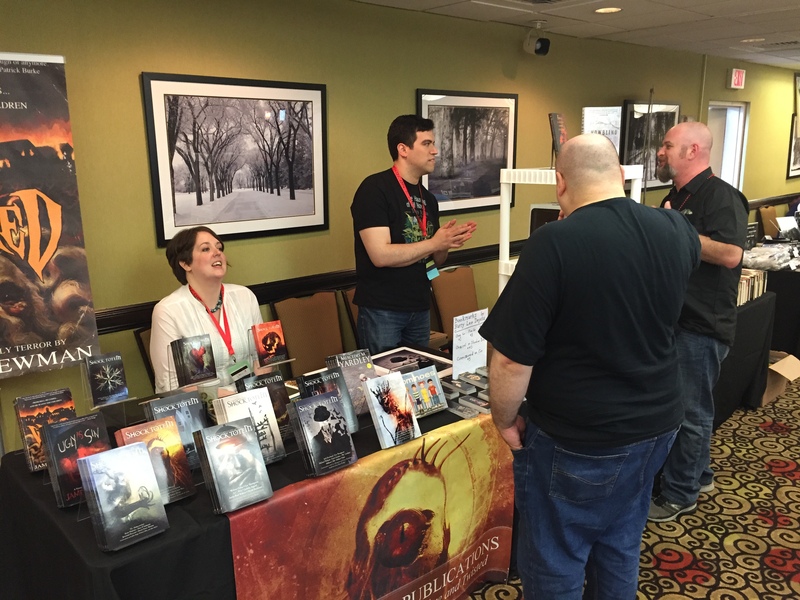 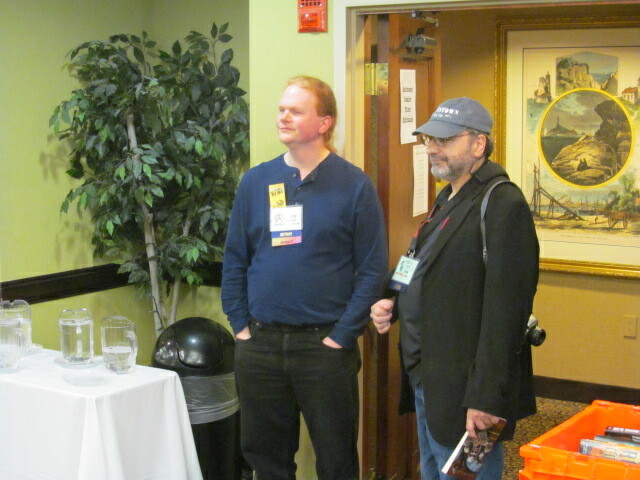 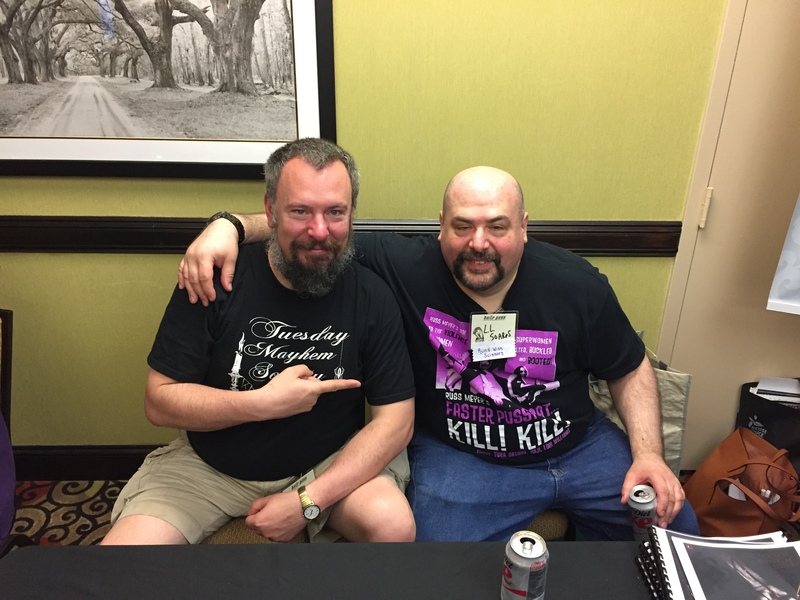 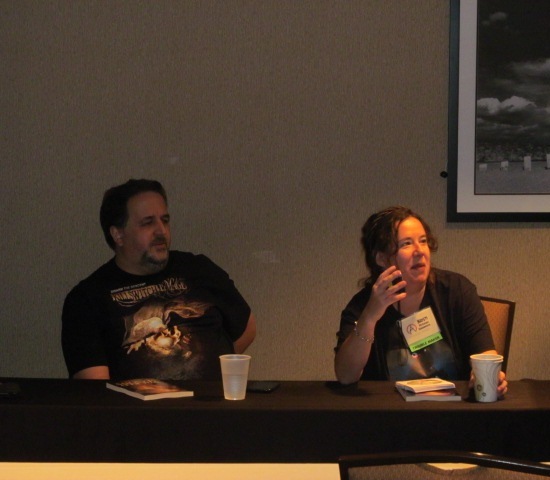 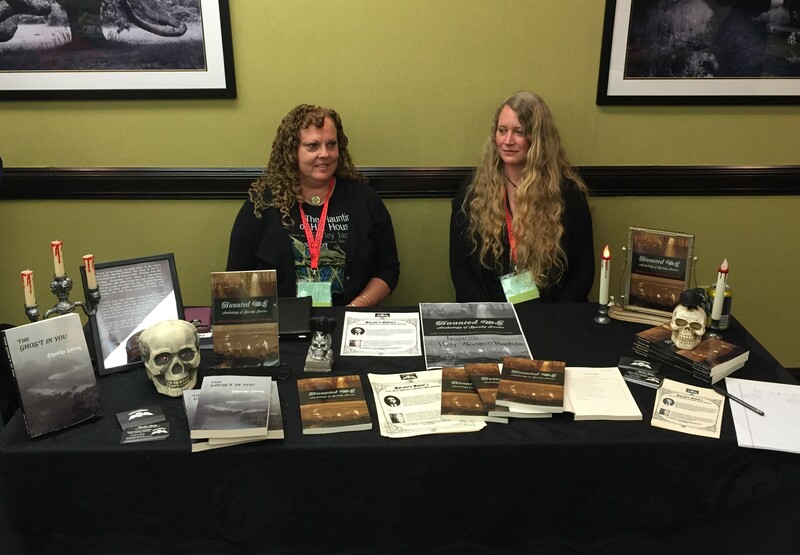 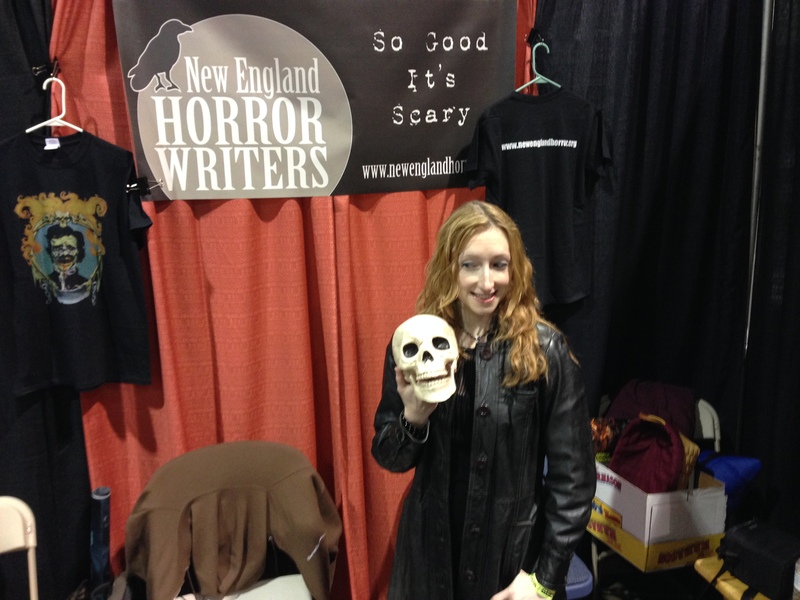 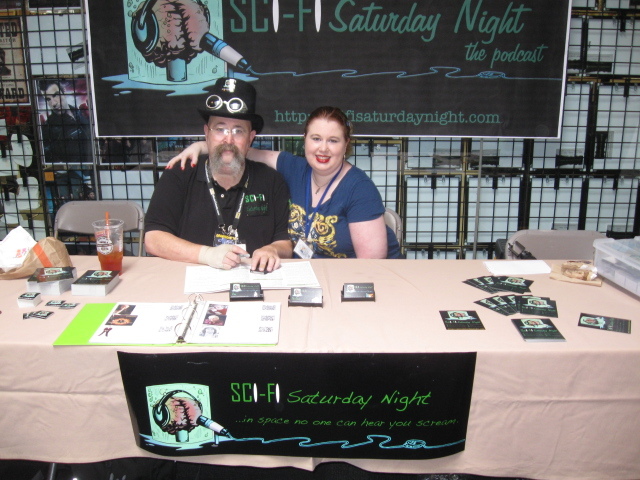 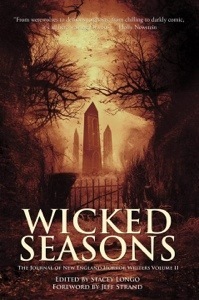 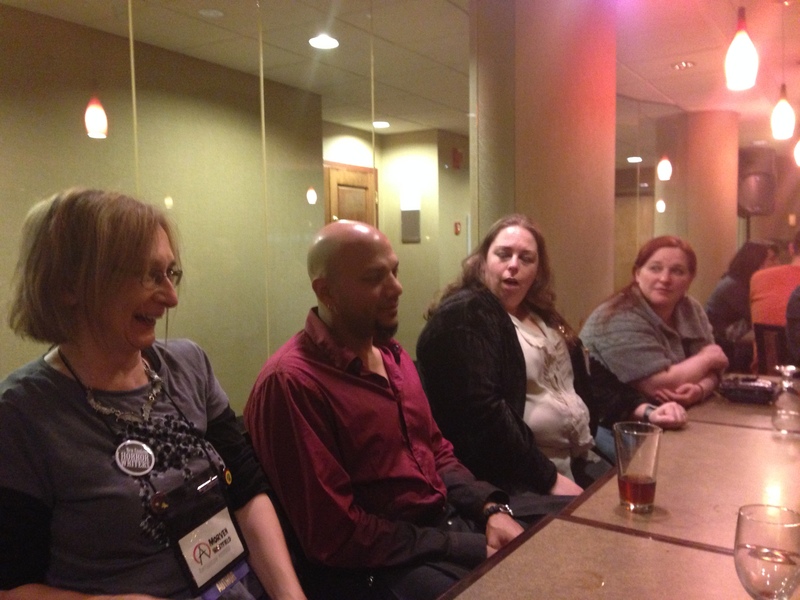 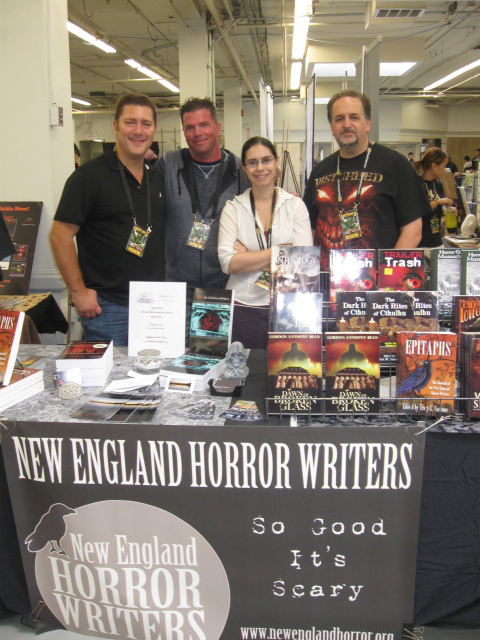 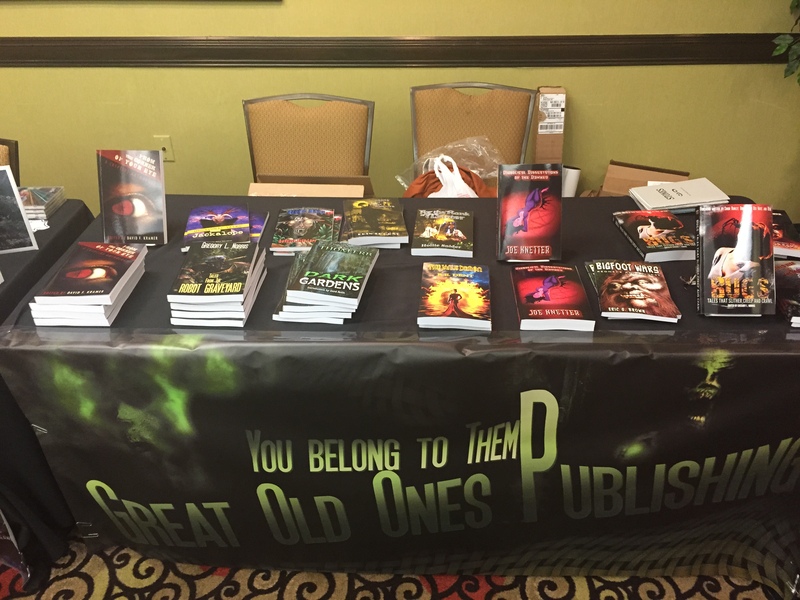 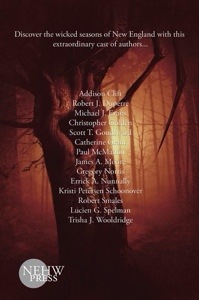 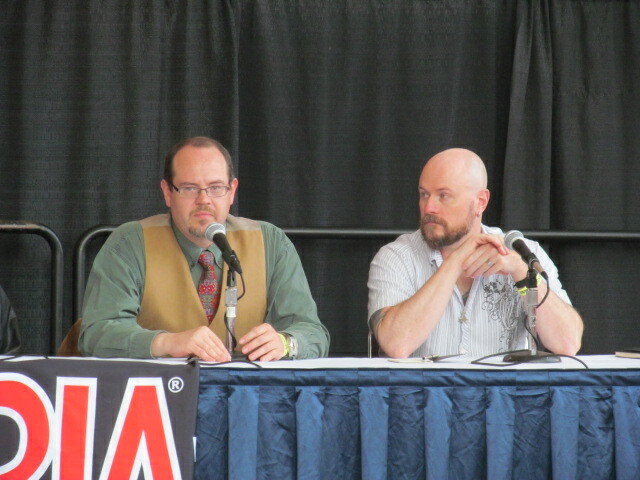 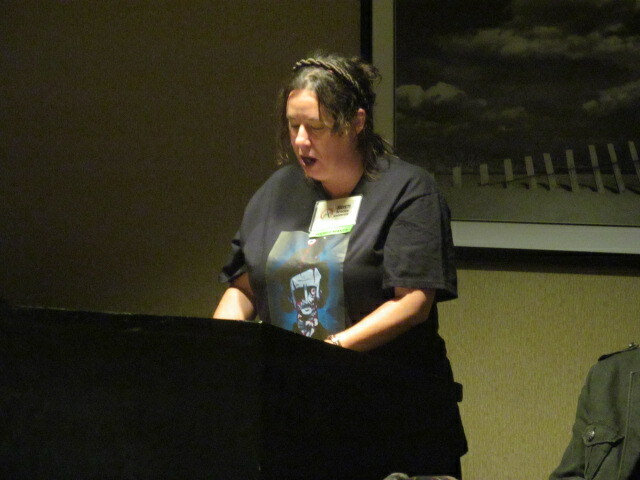 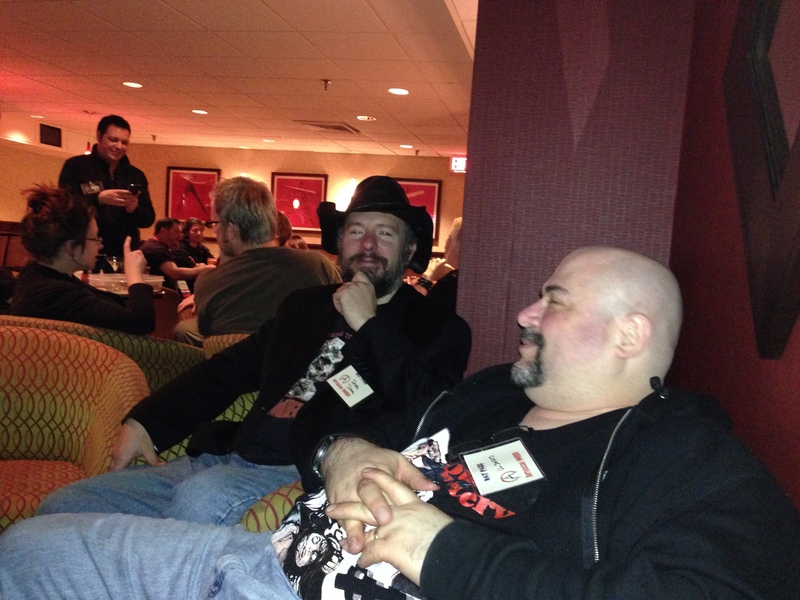 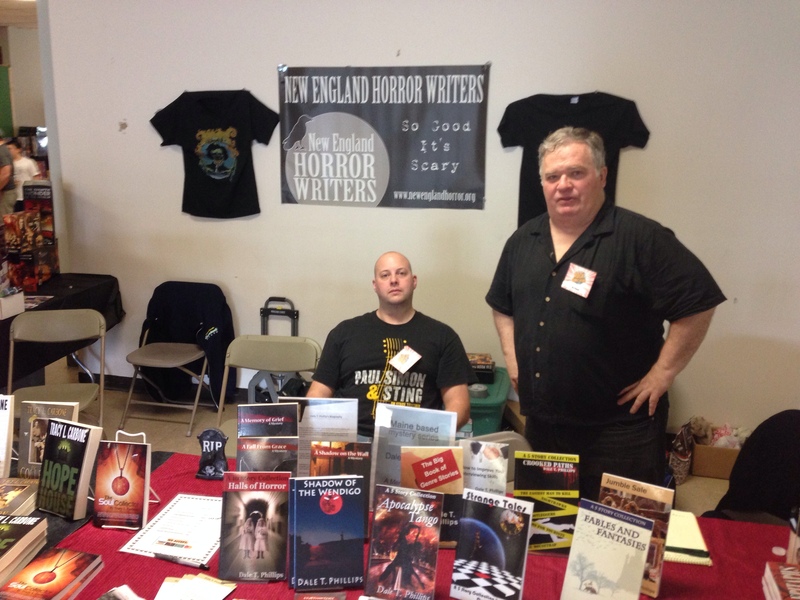 Authors Vlad Vaslyn and Dale T. Phillips behind the New England Horror Writers table. 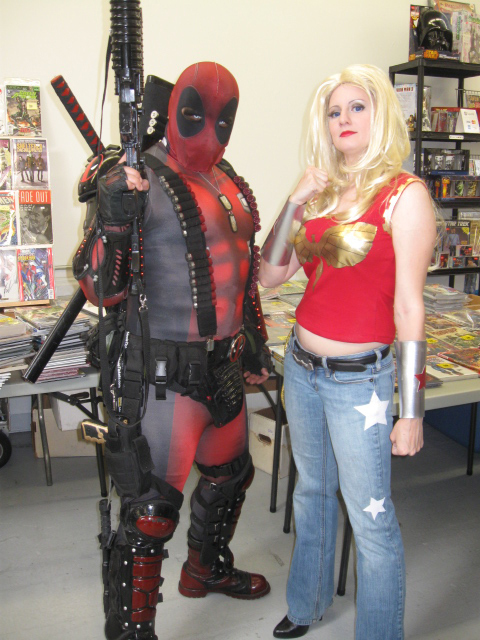 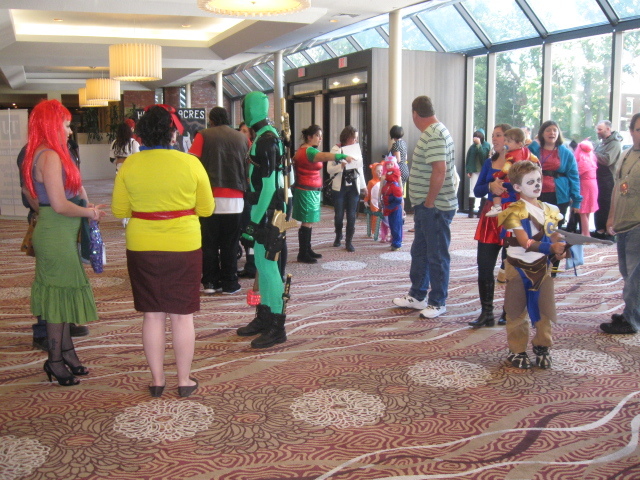 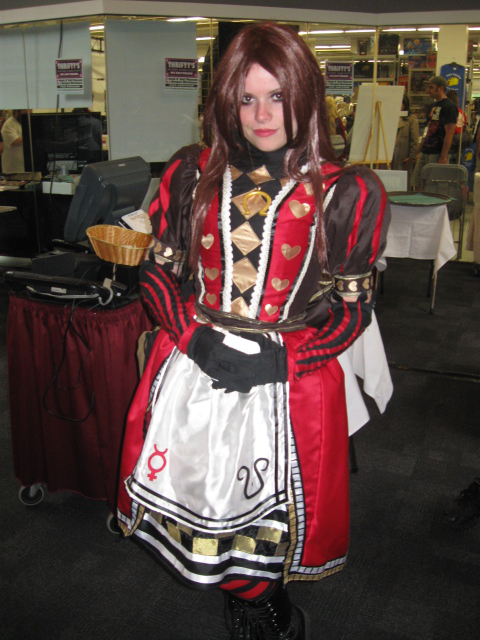 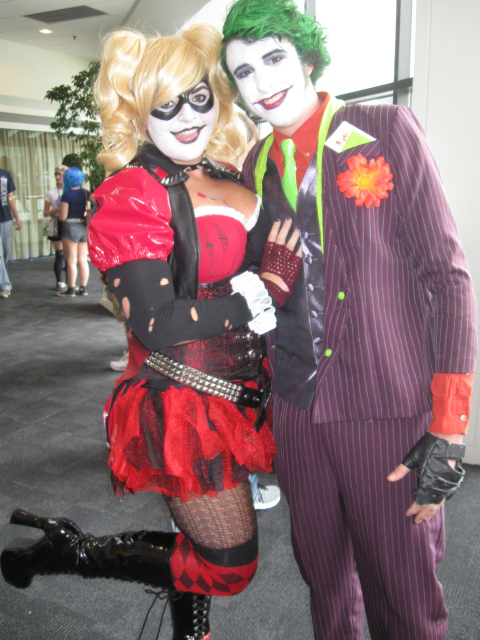 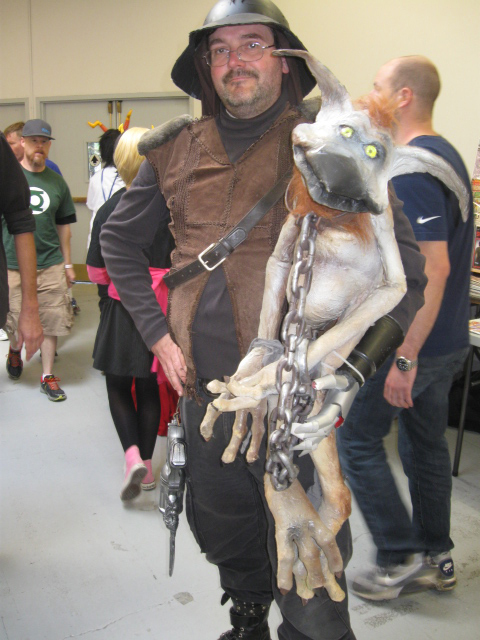 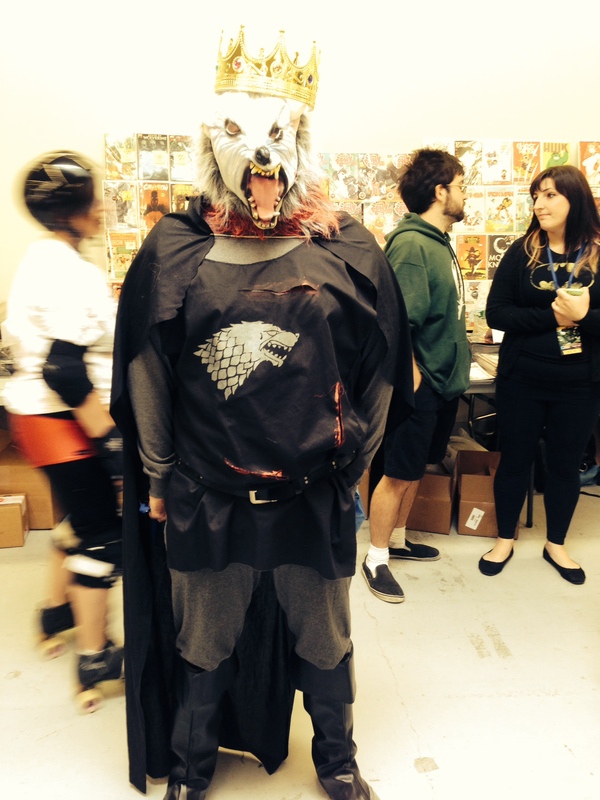 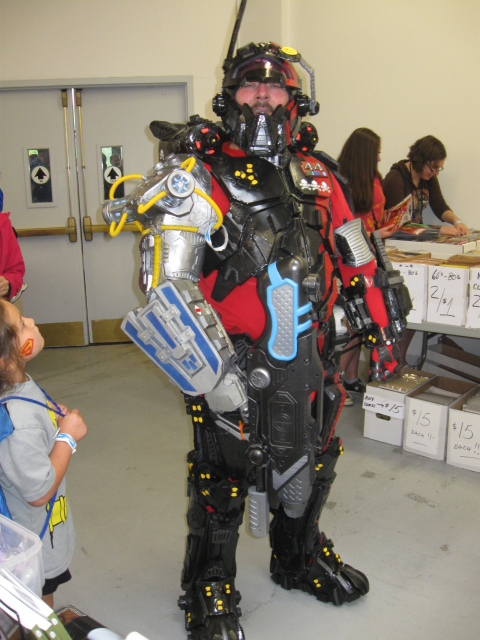 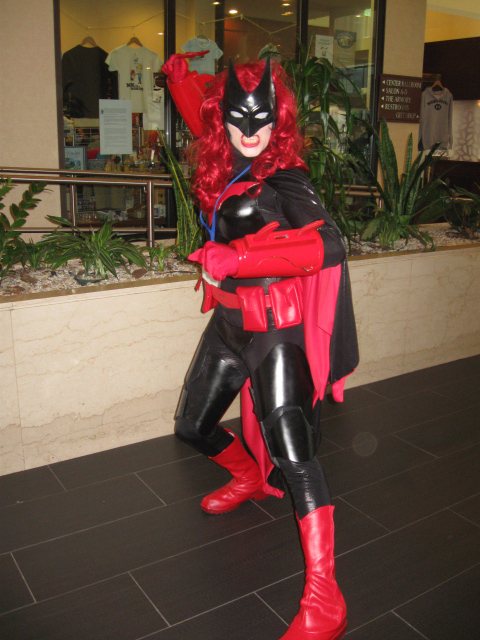 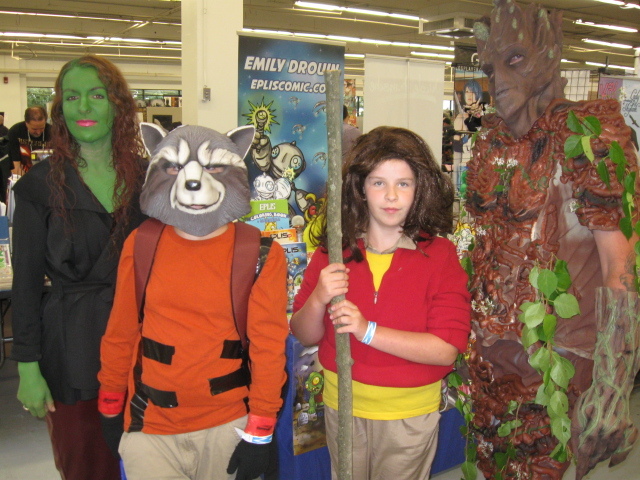 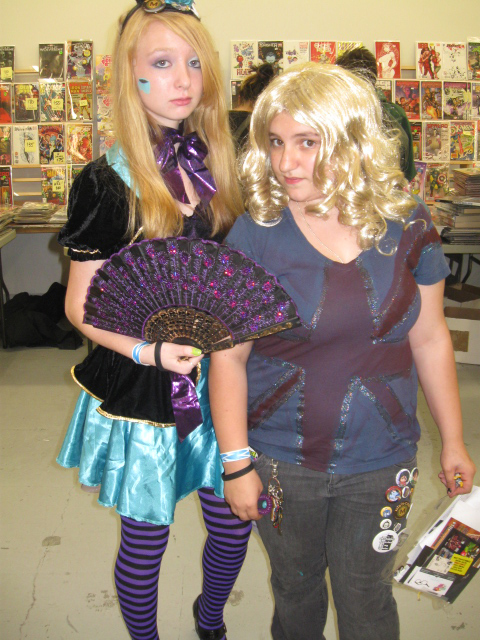 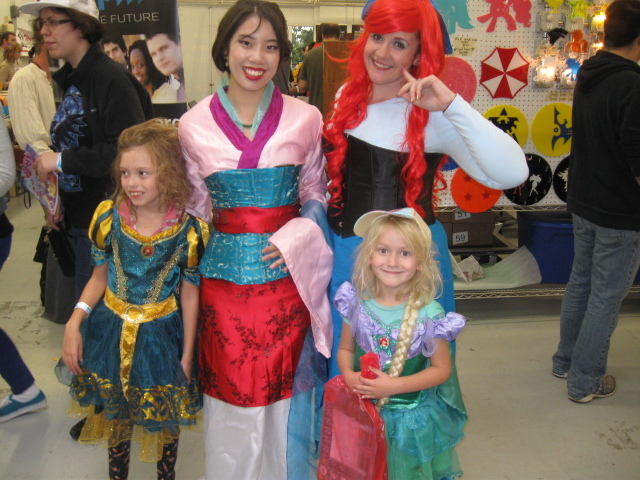 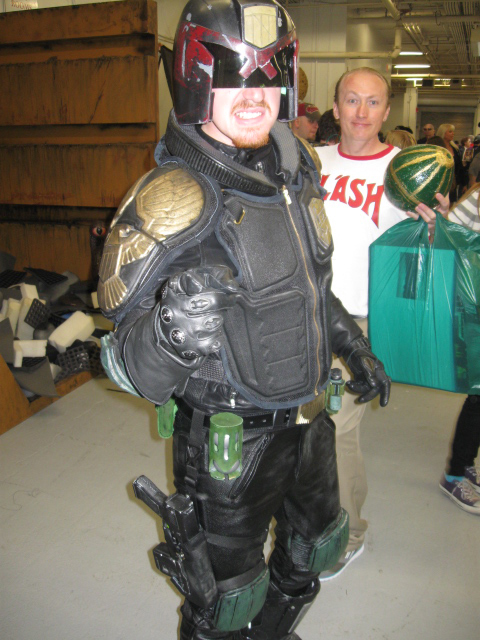 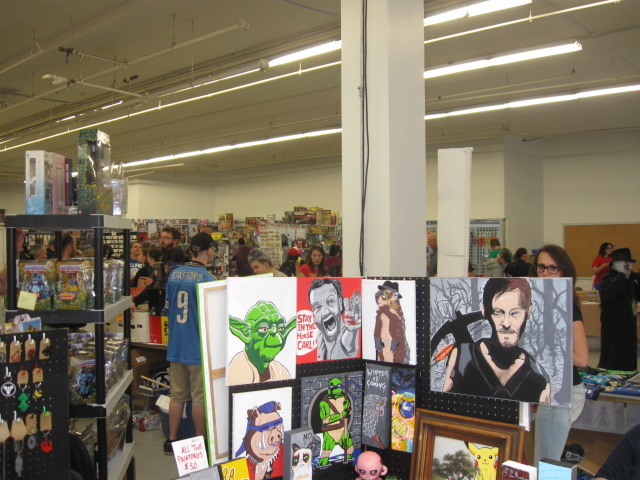 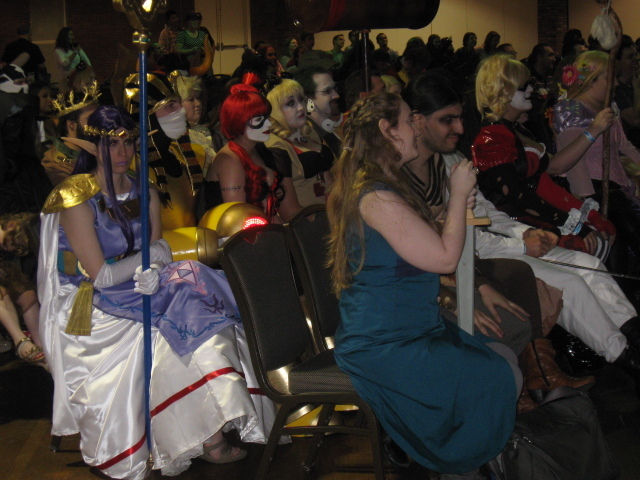 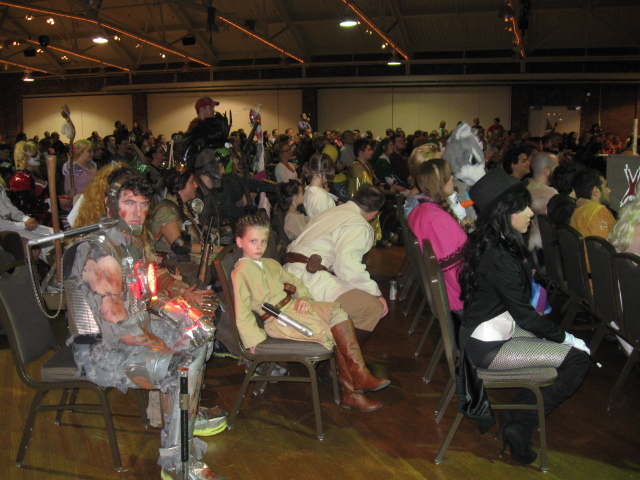 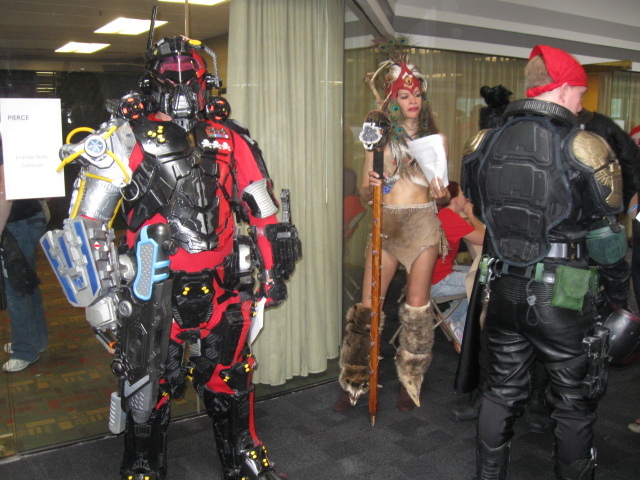 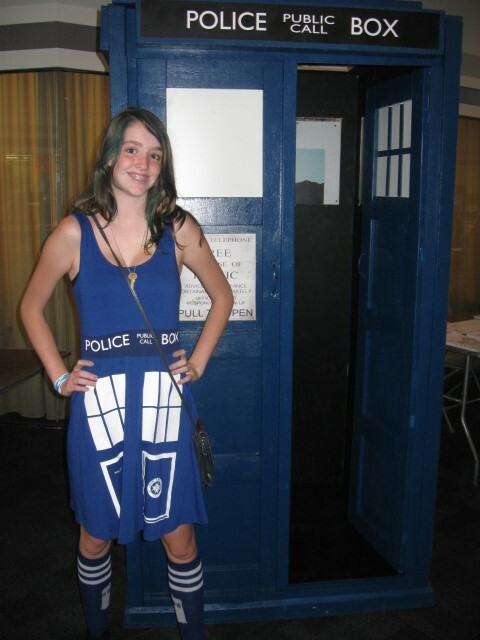 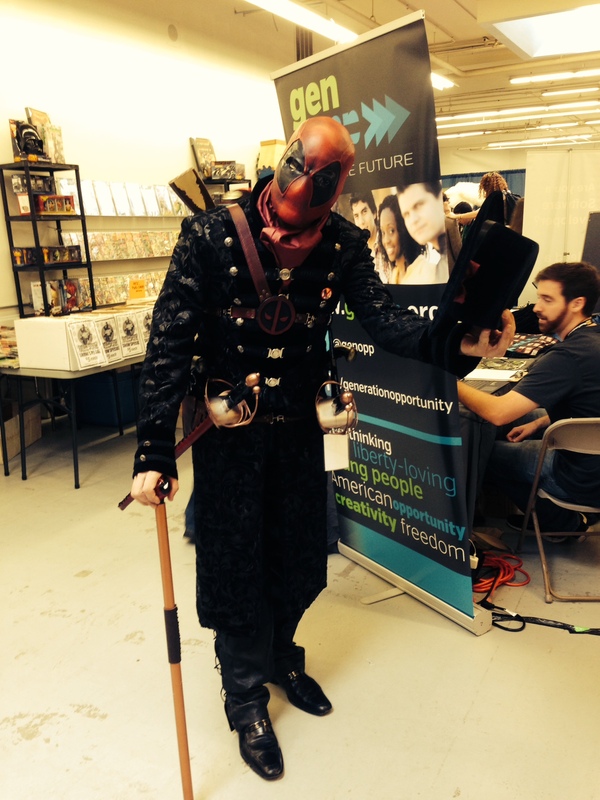 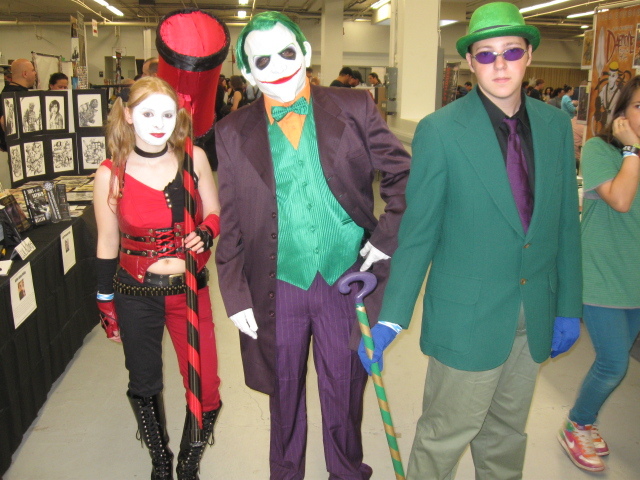 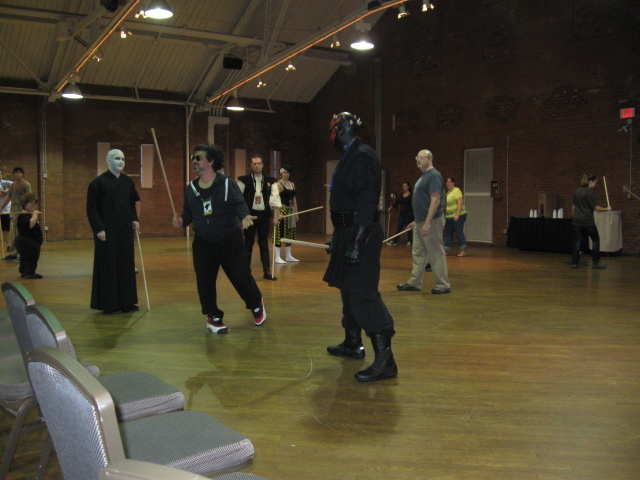 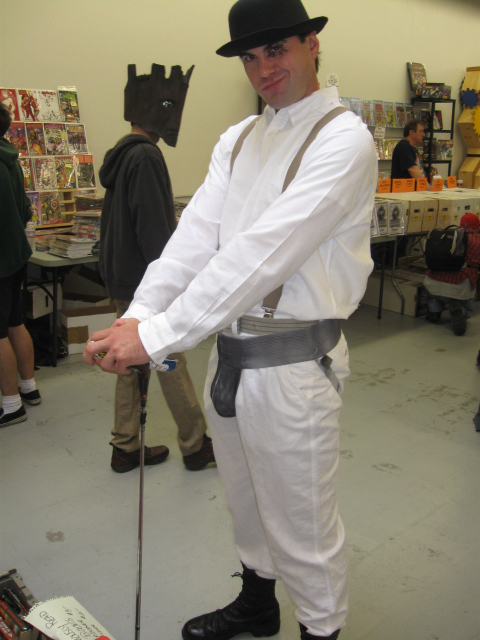 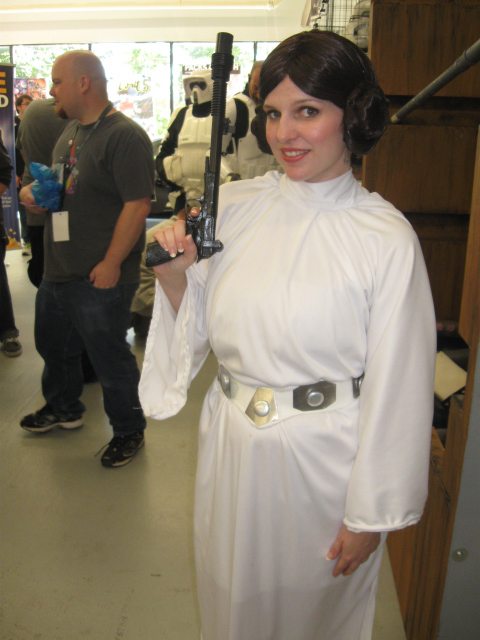 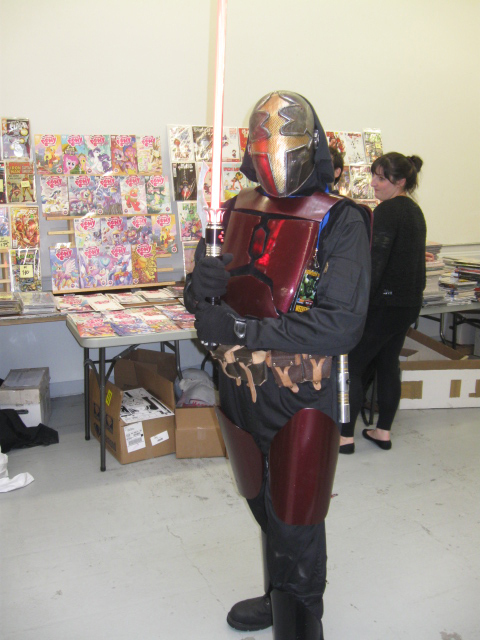 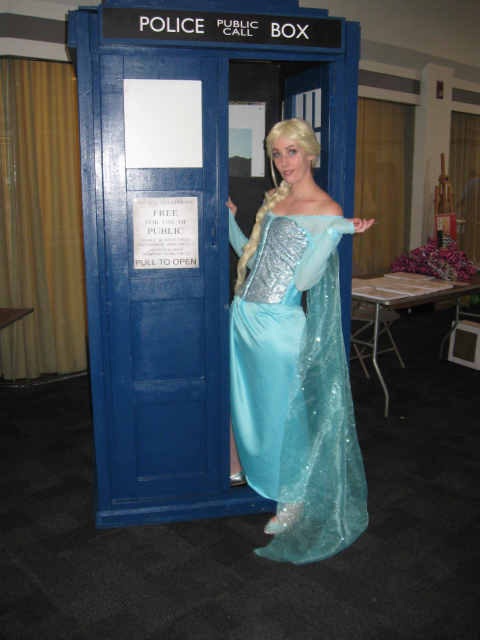 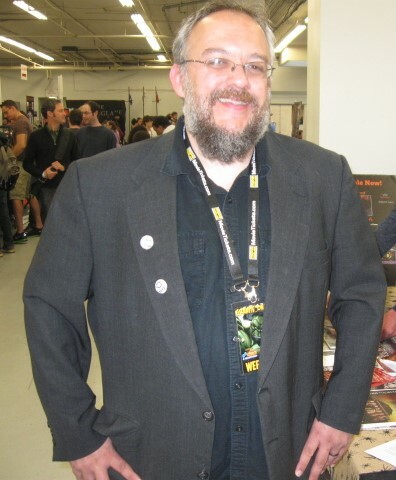 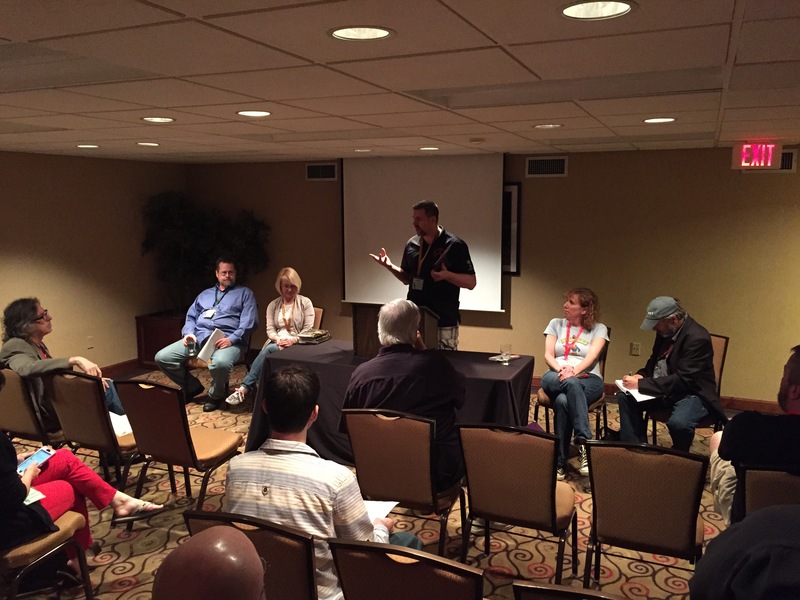 Moulton plans to make the comic expo a two-day event next year. 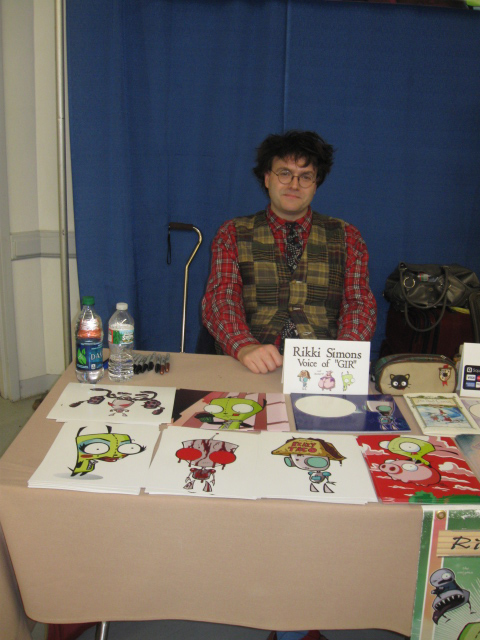 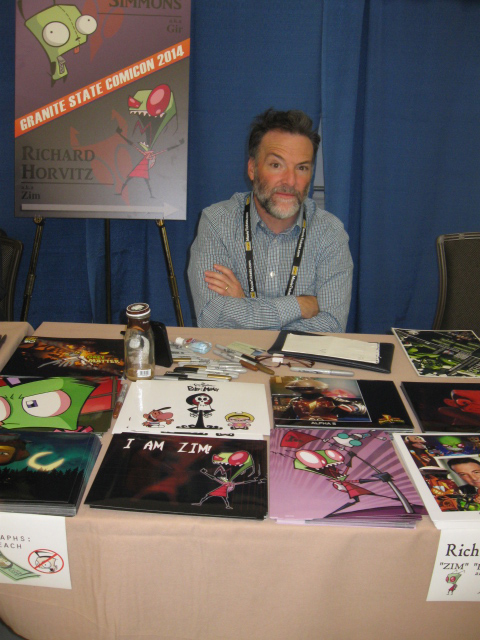 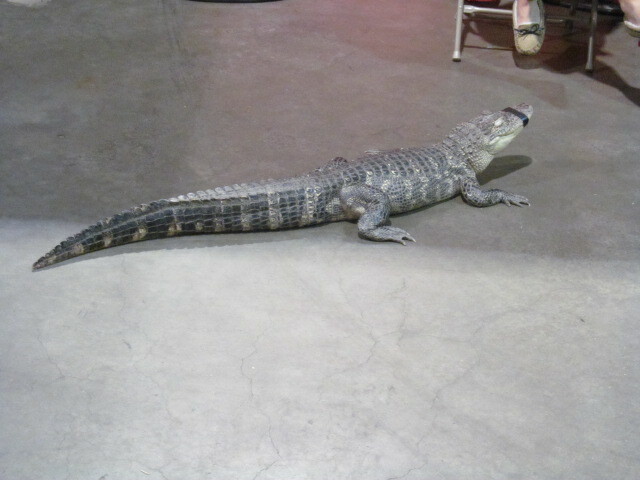 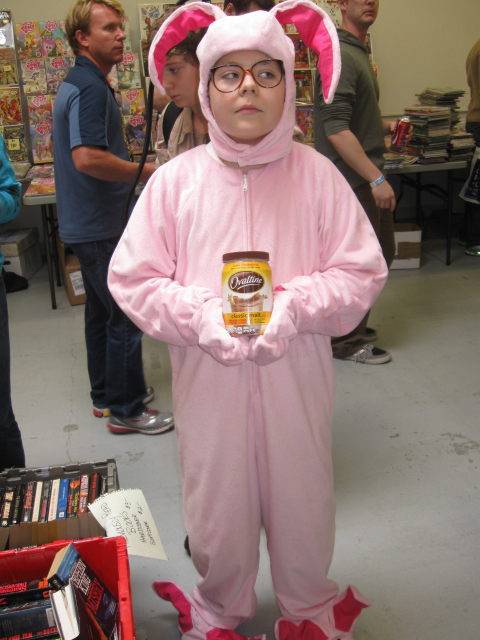 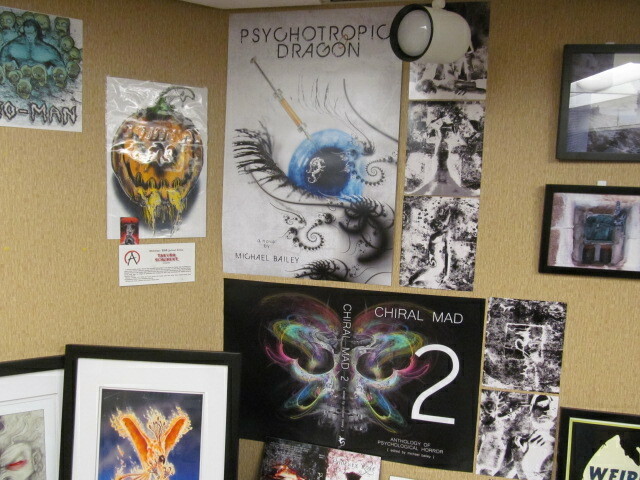 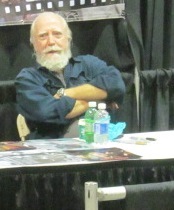 He is also involved with Vermont Comic Con, which debuts in October.